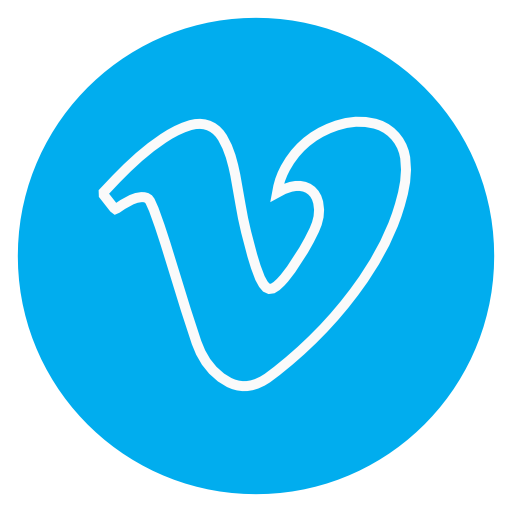 William Van Eaton Sprinkle was a native of Mocksville NC, the son of a Methodist minister. He went to high school in Greensboro. After earning his undergraduate degree at Duke University in 1927, he completed an architectural course at Yale University in 1928. For two years he worked without pay in a New York architectural firm, painting watercolors to earn his keep. In 1930 he returned to Durham to work for architect Howard Haines, gaining experience in residential design and church facilities. 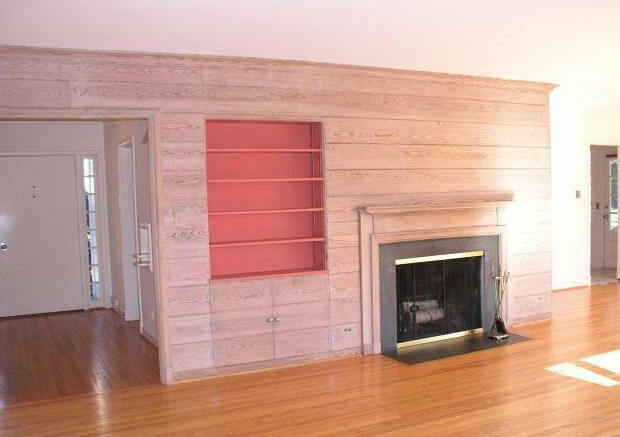 From 1934 to 1941 Sprinkle designed many fine residences for local professionals. He served in the Army during World War II, designing and planning construction of prefabricated harbors for invasions of Europe. After the war he returned to Durham. 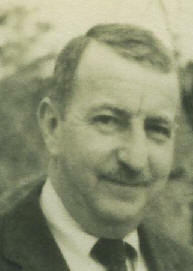 In 1950 he hired Doris Stanley, who took over the firm when Sprinkle died in 1965. 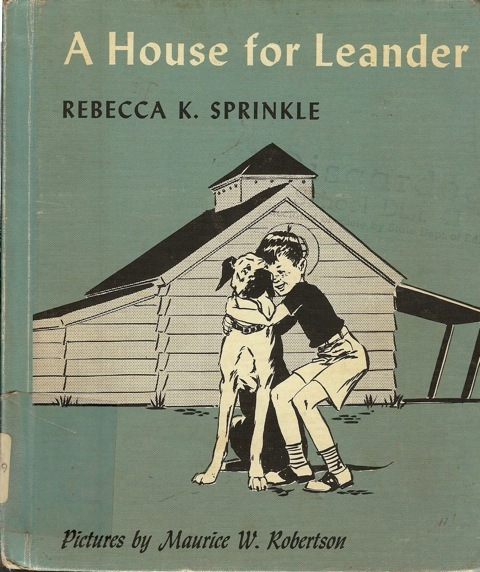 In 1963, Sprinkle's wife, Rebecca Kirkpatrick "Becky" Sprinkle was an author of children's books. 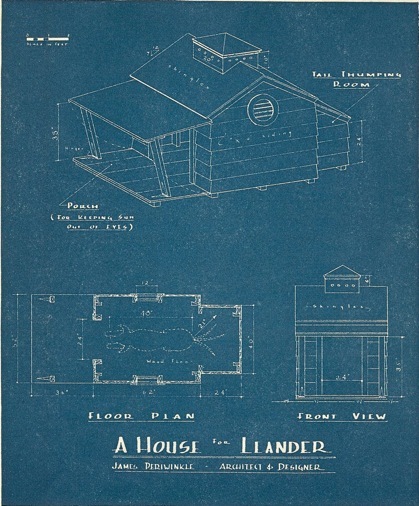 The submission of the manuscript for A House for Leander included an architectural drawing for the dog house by Doris Stanley which was attributed in the foreword to William Sprinkle. This is the scale image of Leander the dog inside his house with room for the 21" radius for his tail in the Tail Thumping Room. Doris Stanley, a native of Farmington ME, and a 1948 graduate of the University of Maine, majored in psychology but took drafting classes for fun. 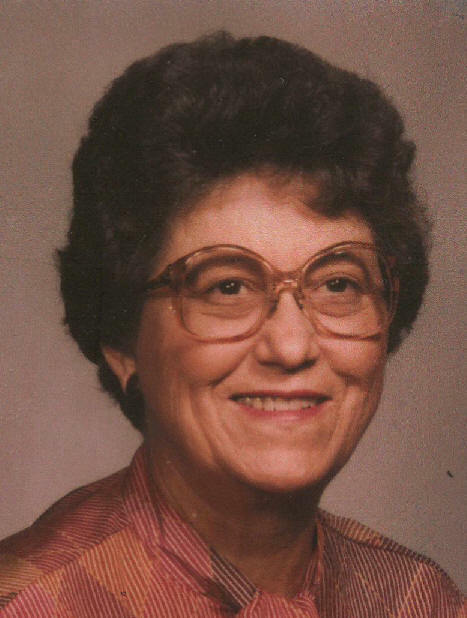 She worked two years in newspaper advertising for the Bangor Daily Commercial before coming to Durham in 1950 with a friend who was attending graduate school. When the Durham employment office asked about her skills, she mentioned drafting and was told an architect was looking for help, so she took the job with Sprinkle. “The first day I put paper to pencil, I thought I’d died and gone to heaven,” she told interviewers Lynn Richardson and Frank DePasquale in 2007. Sprinkle did his initial drawings at 1/8” scale, then handed them over to Stanley to recreate at ¼”. She was the only female draftsman practicing in North Carolina until 1952 when Lib Lee graduated from the NCSU School of Design. Stanley retired in 1989. As shown below, their work was a mix of traditional and Modernist. Special thanks to Greg Taylor and Todd Hancock for research and photos. 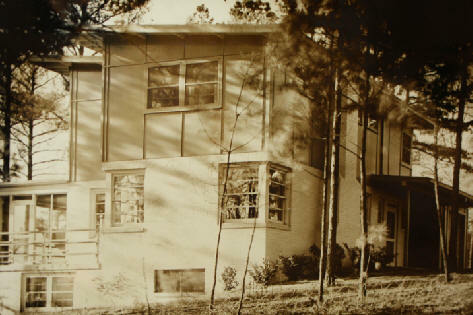 1937 – The Bond House, 101 Pine Lane, Chapel Hill. Sold to Lawrence and Kelly Katen in 1983, sold to Stanley and Penelope Lemon in 2001. Sold to Steven Meshnick and Mark McKinney in 2004. 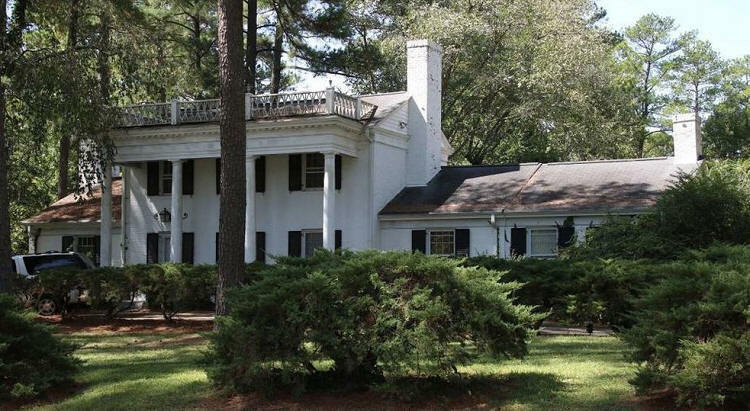 1938 - The Charles and Betty Brown Sydnor House, 116 Pinecrest Road, Durham NC. 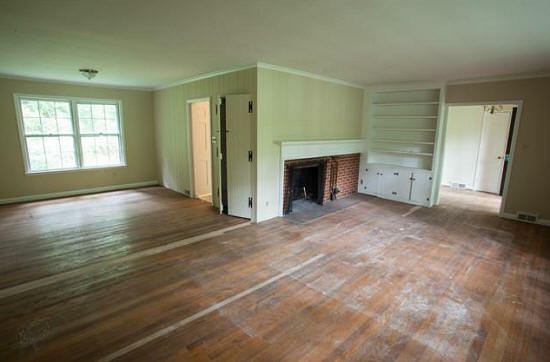 Sold in 1955 to Ransom R. and Dorothy M. Patrick. Deeded in 1976 to Jack C. Thompson. Sold in 1977 to Edward L. C. Pritchett. Sold in 1983 to Dan E. and Carole A. Beauchamp. Sold in 1990 to Daniel J. and Meg M. Thompson. 1938 - The William and Margot Fairfield Maughan House, 5 Sylvan Road, Durham NC. Sold in 1965 to Harriet C. Carter. 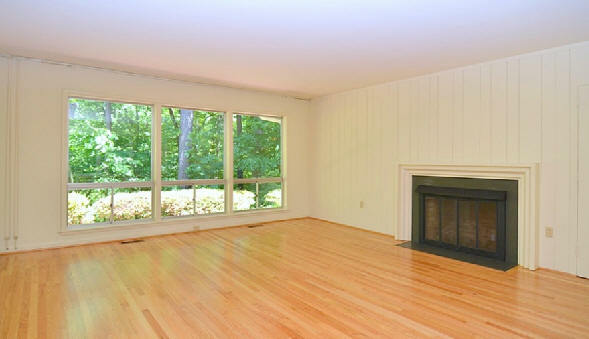 Deeded in 1976 to Peter B. Wears. Sold in 1978 to Philip R. and Margaret P. Bromage. Sold in 1981 to Richard C. and Elena L. Rowson. Sold in 1990 to Henry David Finder and Kwame Anthony Appiah. 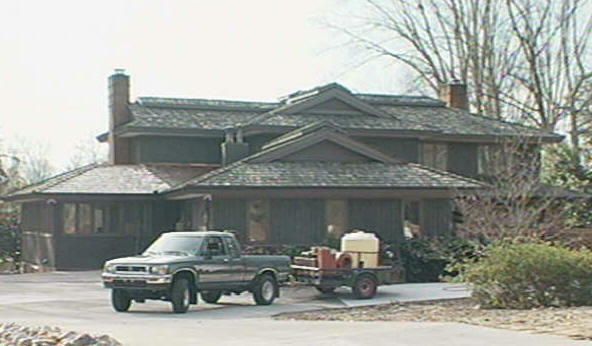 Sold in 1991 to Ronald G. and Mary Ann Witt. 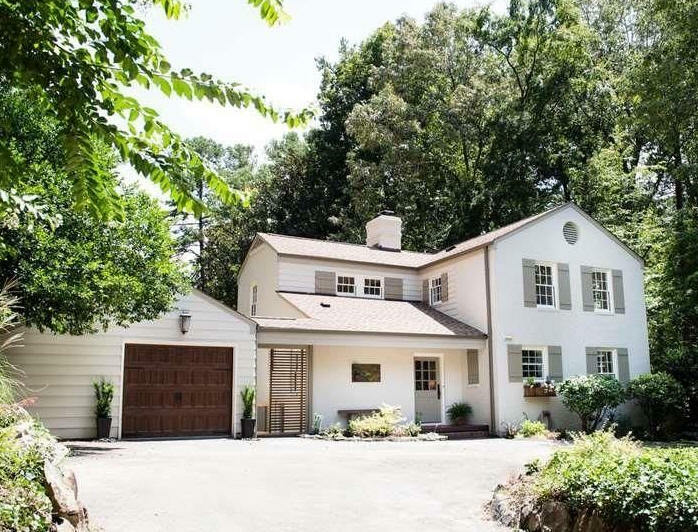 Sold in 2016 to William M. Tomasello and Margarita Svetlova. 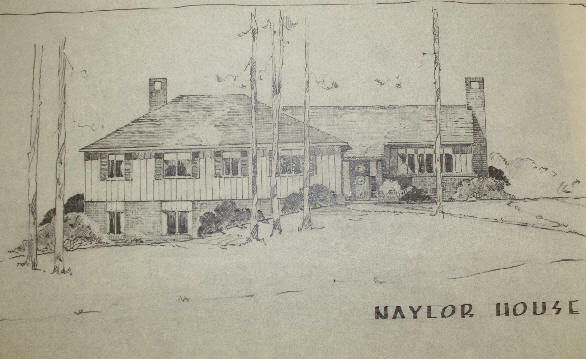 1939 - The Frank Traver and Marion Roth deVyer House, 8 Sylvan Road, Durham NC. Sold in 1983 to Peregrine and Junita R. White. 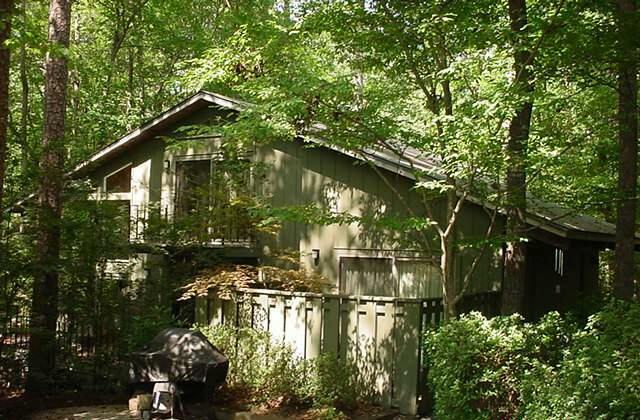 Sold in 1998 to Dennis S. and Nancy T. Atchison. 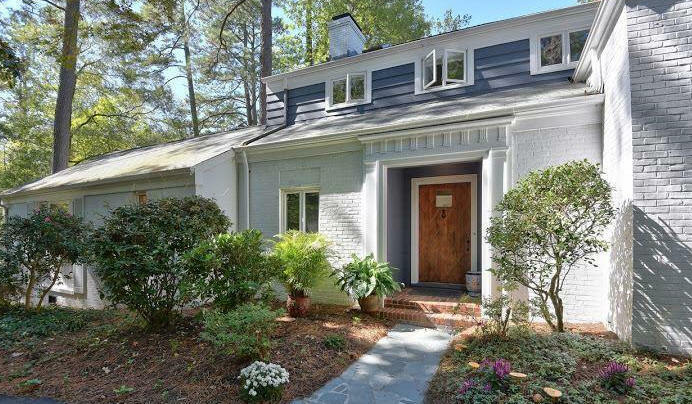 1939 – The Benjamin and Marie Edkins House, 739 Gimghoul Road, Chapel Hill. 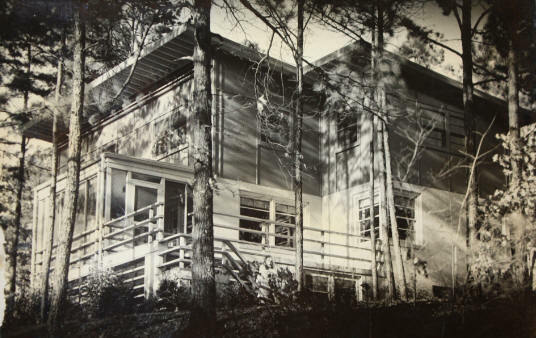 1939 - The William T. and Elizabeth Couch House, 606 Laurel Hill Road, Chapel Hill. Destroyed. House above on the site was built in 2006. 1940 - The Frank Woodbridge and Elizabeth Bass Constant House, 2239 Cranford Road, Durham NC. 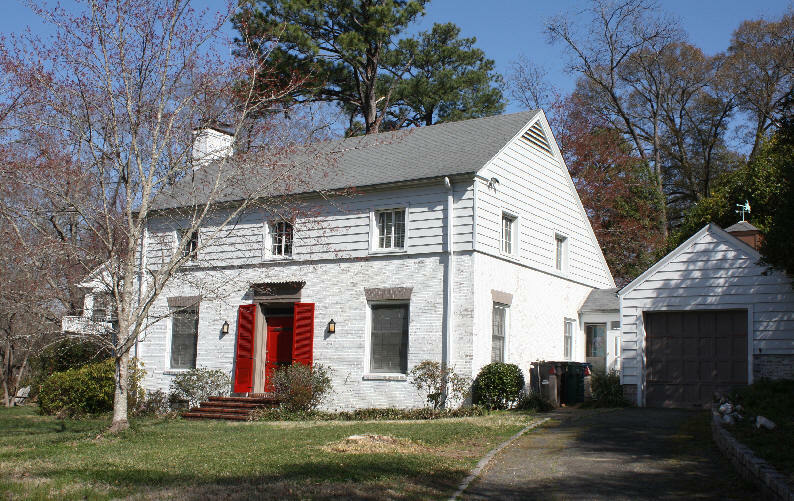 Sold in 1946 to John J. and Vi W. Strickland. 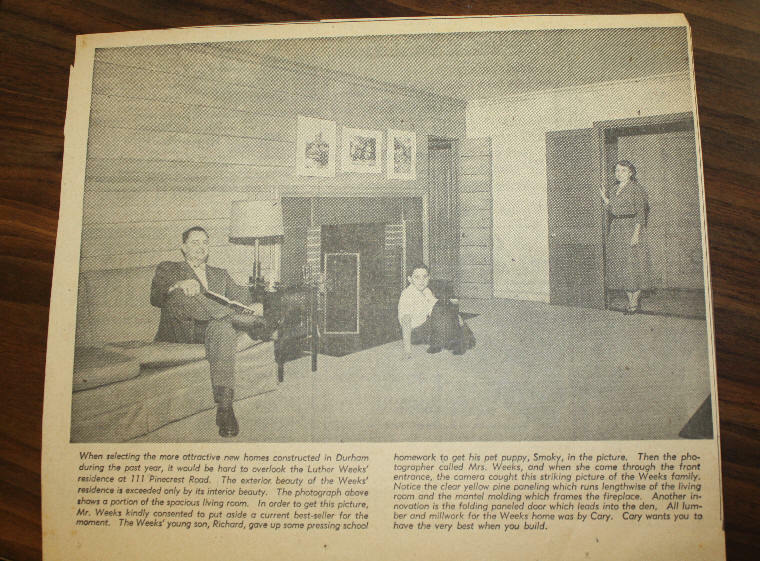 Sold in 1948 to Frank A. and Helen V. Hanna. 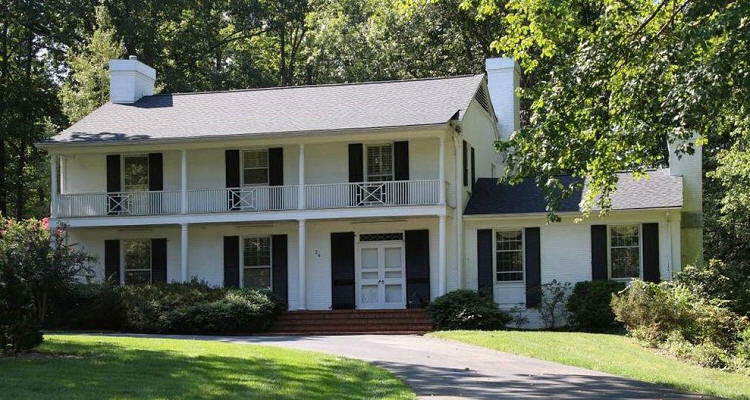 Sold in 1987 to Mark Douglas and Marguerite Elaine Dibner. Sold in 2009 to Philipp Sadowski and Raquel Salvatella de Prada. 1940 - The Clarence Ferdinand and Catherine D. Korstian House, 4 Sylvan Road, Durham. Commissioned 1938. Built by W. H. Woods. Landscaping by John Scott. 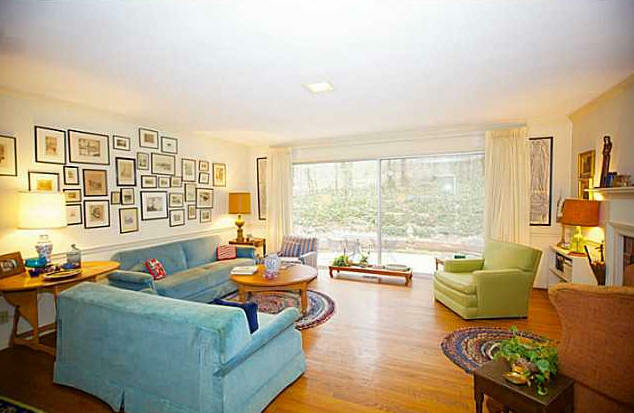 Sold in 1970 to Charles Andrew and Andrea D. Daniels. 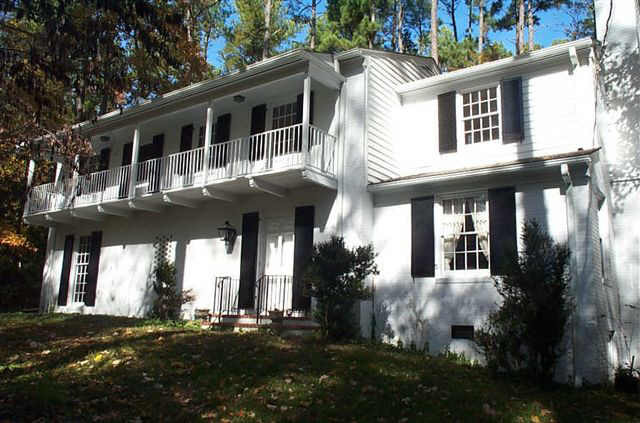 Sold in 1984 to Larry S. and Elizabeth Hedlund Corder. Sold in 2005 to Chris Wall and Daniel Schmitt. 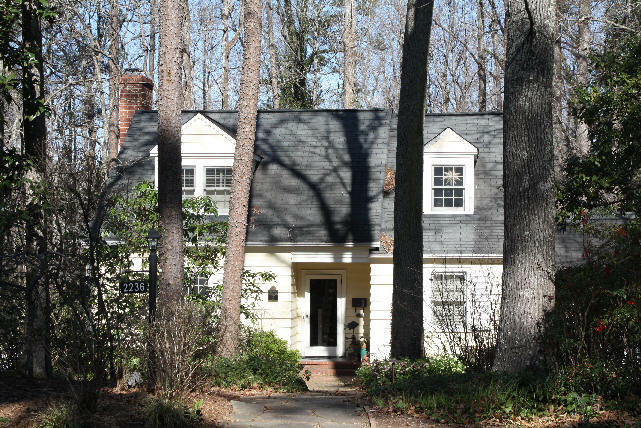 1940 – The Frances Gardham House, 309 Country Club Road, Chapel Hill. 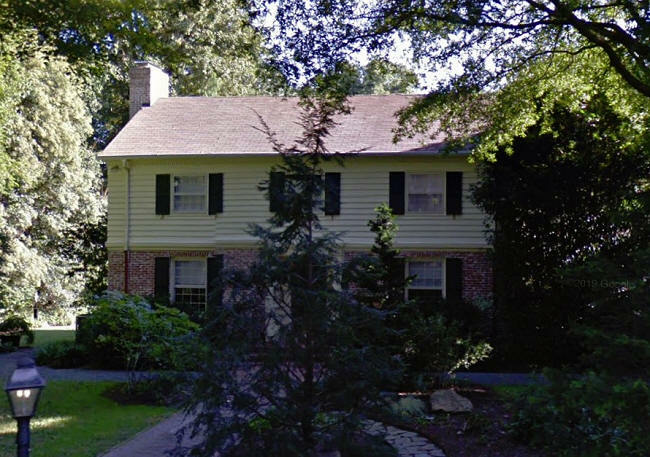 1940 - The Edwin C. and Agnes B. Hamblen House, 810 East Forest Hills Boulevard, Durham NC. 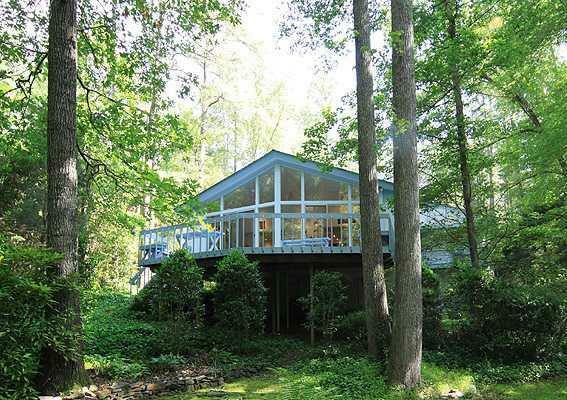 Sold in 1962 to Malcolm P. and Anne Bradfield Tyor. Sold in 2007 to David K. Goodman and Gregory R. Palmer. 1940 - The Benjamin Ulysses and Laura Deaton Ratchford House, 133 Pinecrest Road, Durham NC. 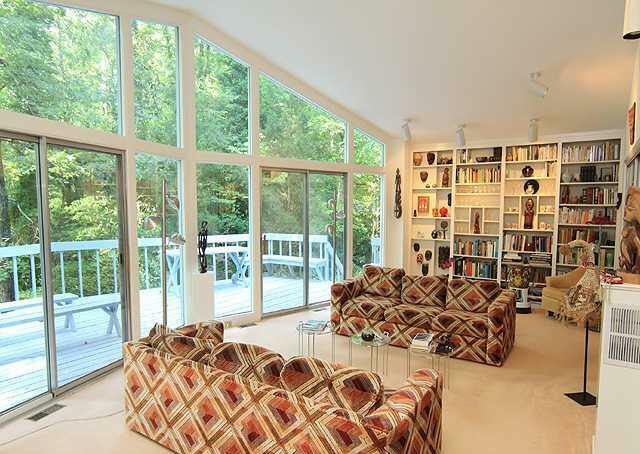 Sold in 1986 to David A. Solomon and Elisabeth Soekefeld. Sold in 2009 to Andrew Desimone and Lucy Schenkman. Photo by Todd Hancock. 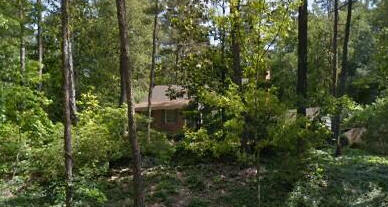 1940 - The Robert Sidney and Lucille Mulholland Smith House, 2236 Cranford Road, Durham NC. 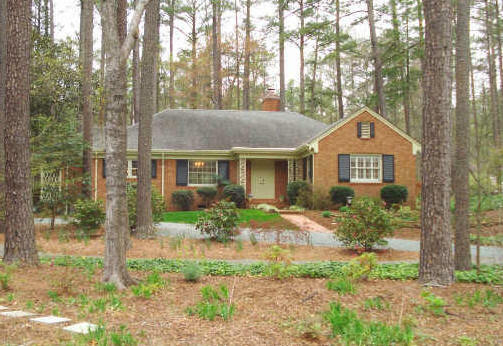 Sold in 1997 to Betty J. Morton and Jana O. Fleming. Sold in 2003 to William G. and Julia K. Slebos. Photo by Todd Hancock. 1940 - The Marcus Edwin and Sarah Blanchard Hobbs House, 115 Pinecrest Road, Durham NC. Sold in 1994 to Cheryl F. and Christopher Nicchitta. 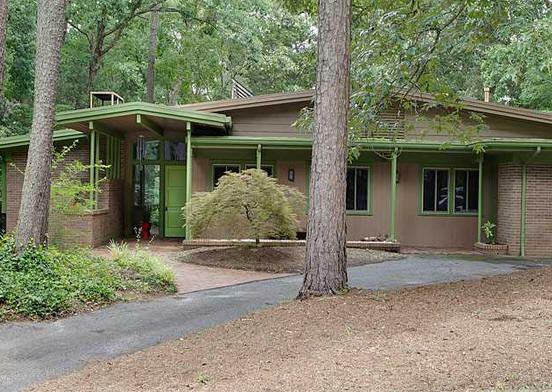 1940 - The Joseph and Dorothy Kress Spengler House, 2240 Cranford Road, Durham NC. 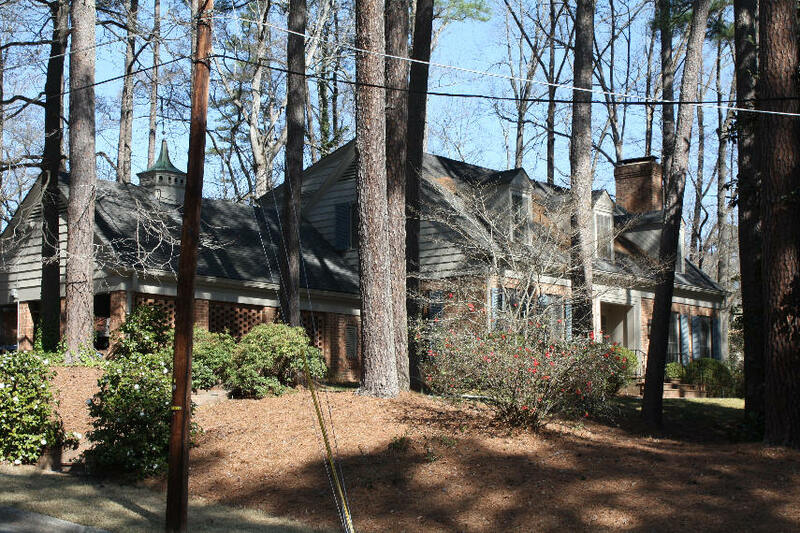 Sold in 1998 to Durham Realty, Incorporated. 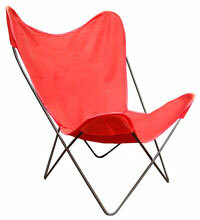 Sold in 2001 to Duke University. Sold in 2004 to Martin Uribe and Stephanie Schmitt-Grohe. Sold in 2008 to Nancy B. Armstrong and Leonard W. Tennenhouse. 1940 - The Joseph Miller and Hilda Howes Thomas House, 2215 Cranford Road, Durham NC. 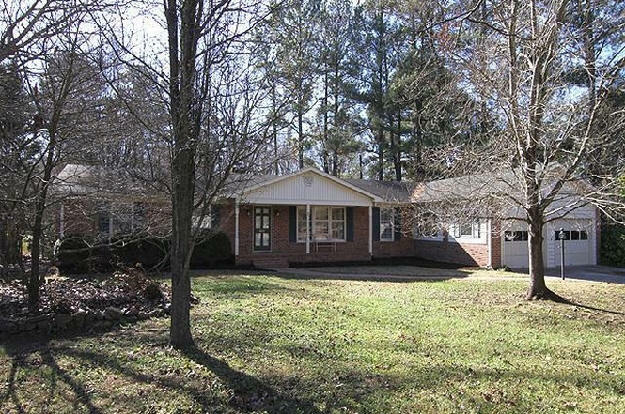 Sold in 1978 to James J. and Margaret G. Johnston. 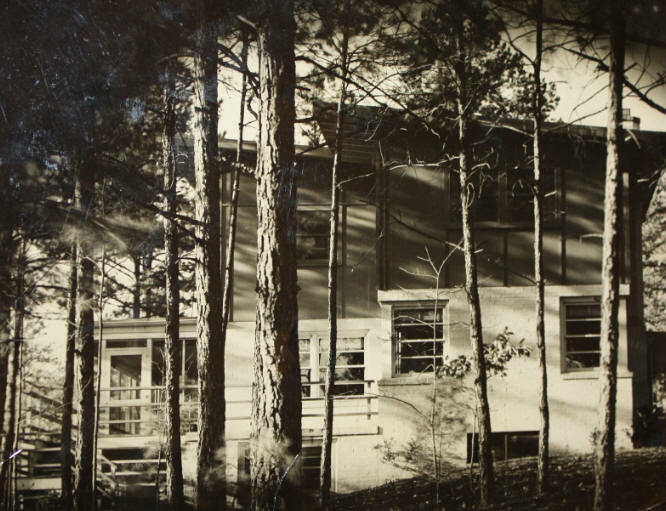 1940 – The Horace Crockford House, 305 Country Club Road, Chapel Hill. 1941 - The Virgil J. and Elizabeth B. Ashbaugh House, 1022 Westwood Drive, Durham NC. Sold in 2002 to Garrod S. Post and Robert A. Hill. Sold in 2006 to George H. Vaughan and Alfred J. Thorn. 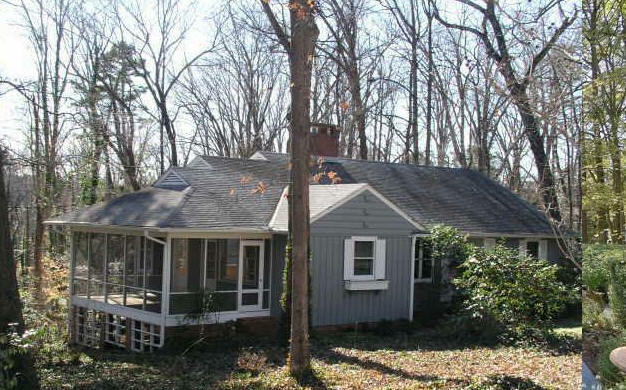 1945 - The Paul Jackson and Edith Vance Kramer House, 2251 Cranford Road, Durham NC. Sold in 1974 to DeWitt L. and Alice C. Myers. Sold in 1984 to Peter and Norma-Adragna Lauf. 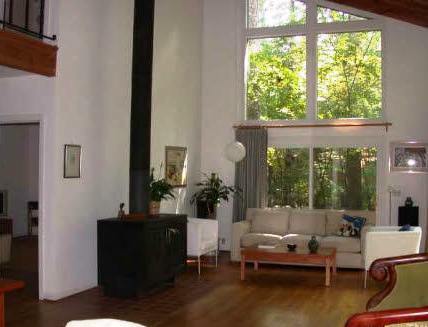 Sold in 1985 to Ovie W. and Rachel Cole Mathison. Deeded in 2012 to John Cole Mathison, Mary Jean Hahle, and Carole A. Mathison. Sold in 2015 to Storyline Renovations, LLC. Renovated with addition built in 2016. 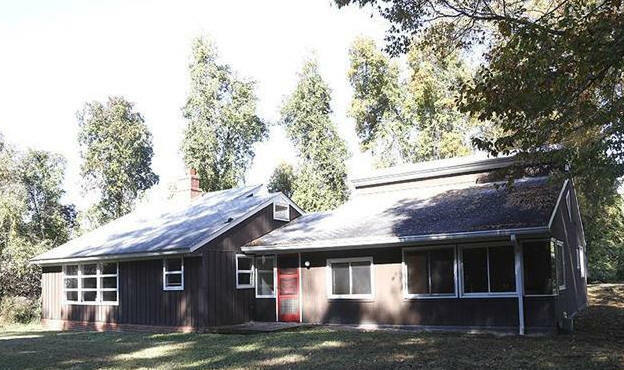 Sold in 2016 to John Walter and Margaret Herbert Meyer. 1945 - 2909 Hope Valley Road, Durham. As of 2018 owned by BJTM Real Estate Trustee. 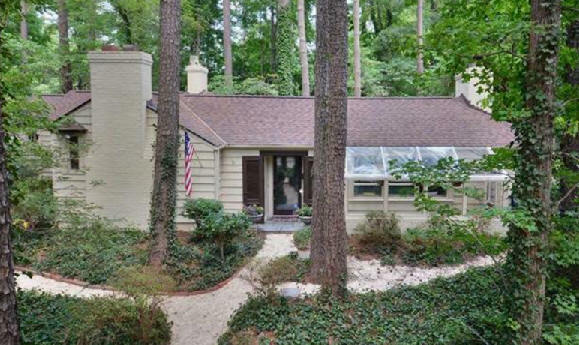 1947 - The George Jay and Sarah Hartman Baylin House, 2260 Cranford Road, Durham NC. Sold in 1959 to Jane Philpott. Sold in 1979 to Herbert C. and Elizabeth B. Morse. Sold in 1985 to John Jay and Phyllis Robinson Vandenberg. 1947 - The Charles and Erma Kirkpatrick House, 503 Whitehead Road, Chapel Hill. 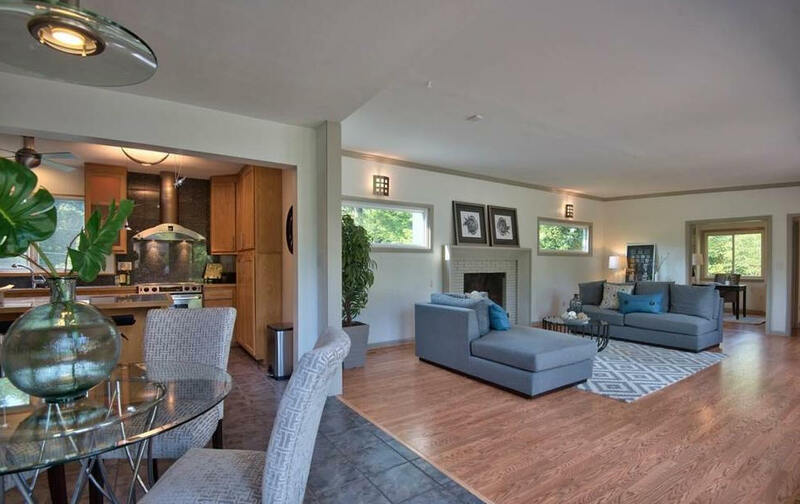 Sold in 2013 to Shayne Fenton of Soulshine Construction who did a remodel. Sold in 2014 to Bartley (Bart) Barefoot. 1948 - The Charles E. and Dean D. Ward House, 2429 Perkins Road, Durham. Commissioned 1947. 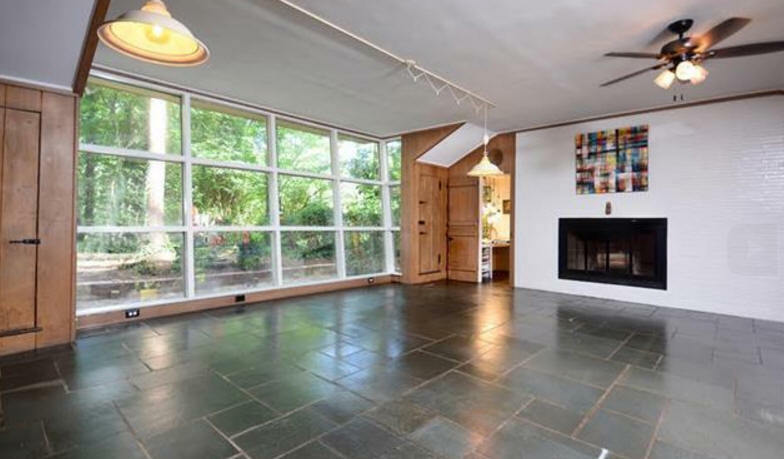 Sold in 1968 to Elizabeth G. and Edward M. Hedgpeth. Ownership transferred to Elizabeth G. and Marian W. Hedgpeth. Sold in 2001 to Charles and Imke Nickelson. 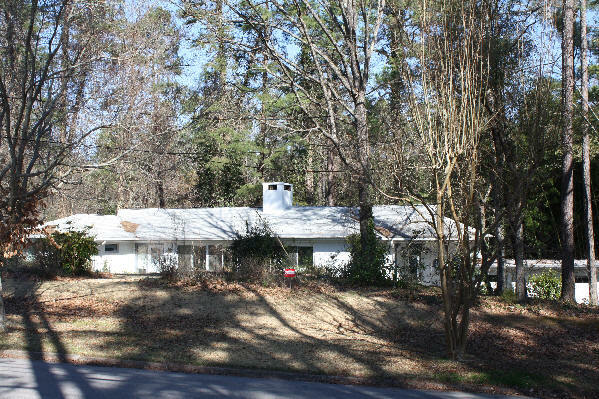 1948 – The Edward C. and Glenna Simmons House, 2510 Perkins Road, Durham. 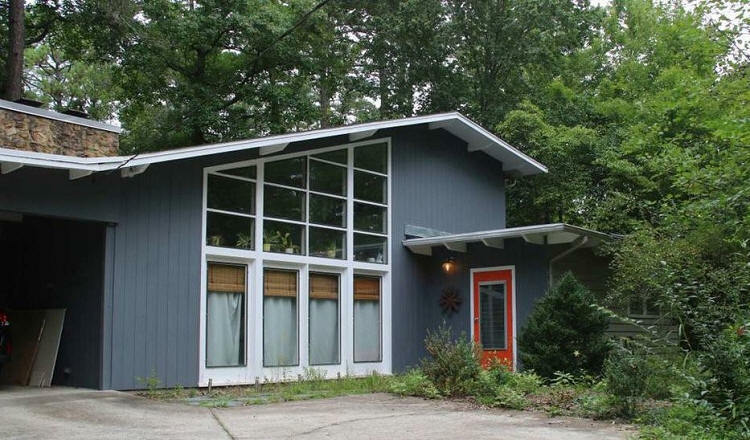 Sold in 1962 to Robert L. and Helen R. Hill. Sold to Stacy Codon and Jeffrey Glass in 2003. 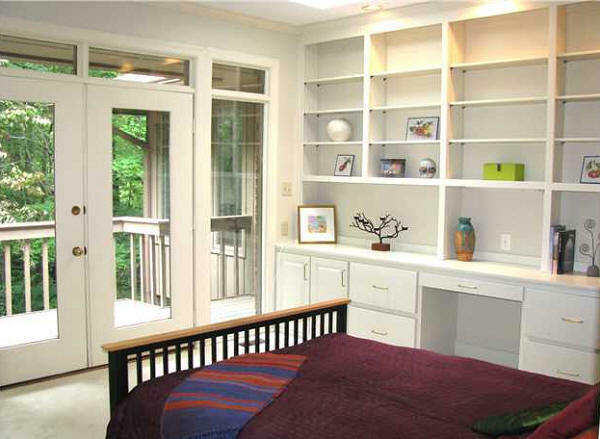 Two bedrooms were added onto the original house at some point, using similar exterior materials and design. 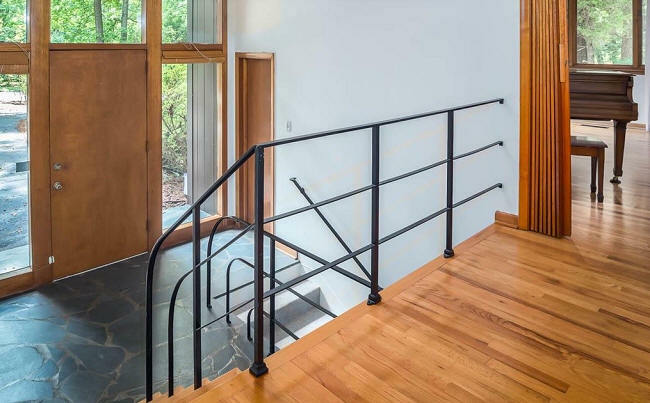 In 2017, Center Studio Architecture completed an addition consisting of a large flat-roofed carport and a glassed entrance atrium that bridged the original house and previous addition. Project architect Will Rhodenhiser. 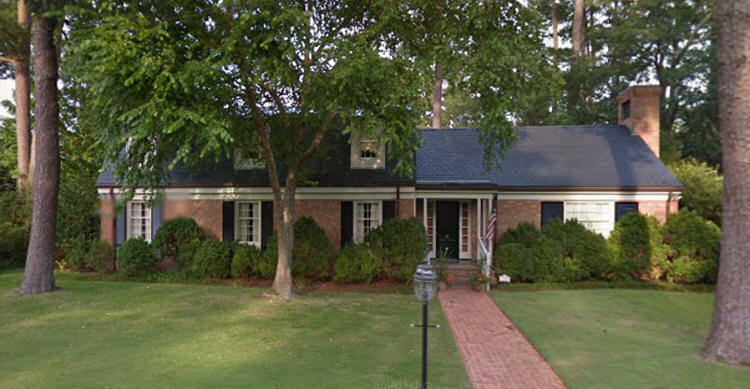 1949 - The Howard and Eleanor B. Easley House, 427 Lebanon Circle, Durham NC. 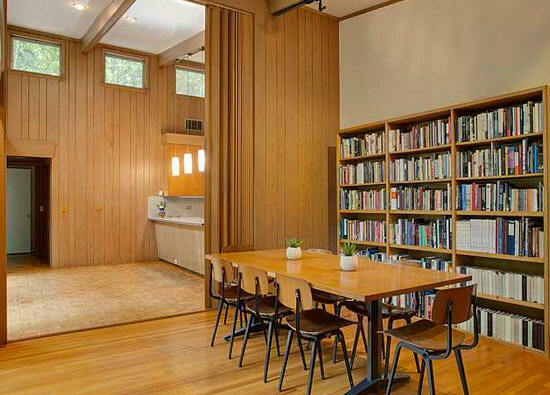 Sold in 1971 to William and Elma Knowlton Longley. Addition in 1975 by Richard Harkrader. Sold in 2018 to Colin R. Lickwar and Elyse C. Dankowski. 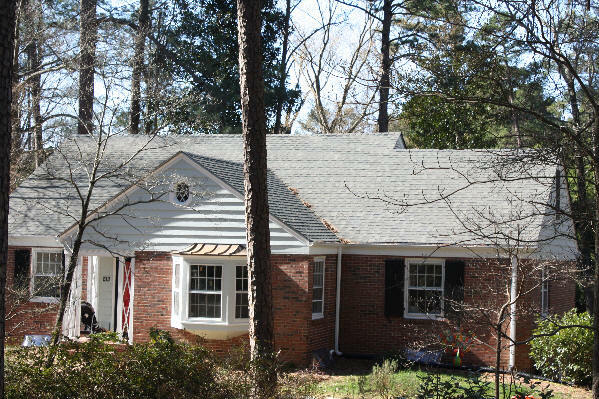 1950 - The Kenneth L. and Kayla Pickrell Renovation, aka Kenkayla, 3 Sylvan Road, Durham. Original house was built in 1936 for David and Lelia Cavers. Sold in 1997 to Randall Love and Elaine Furnaro. 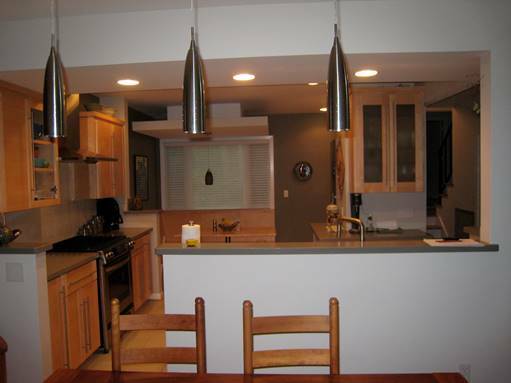 Bottom color photos, renovation by Ellen Cassilly. 1950 - The Mary and Ed Cameron House, 404 Laurel Hill Road, Chapel Hill. Sold in 2015 to Amanda Kayser and Robert S. Anson. 1950 - The Maurice Lowell and Virginia A. Bromhal House, 1701 Vista Street, Durham. 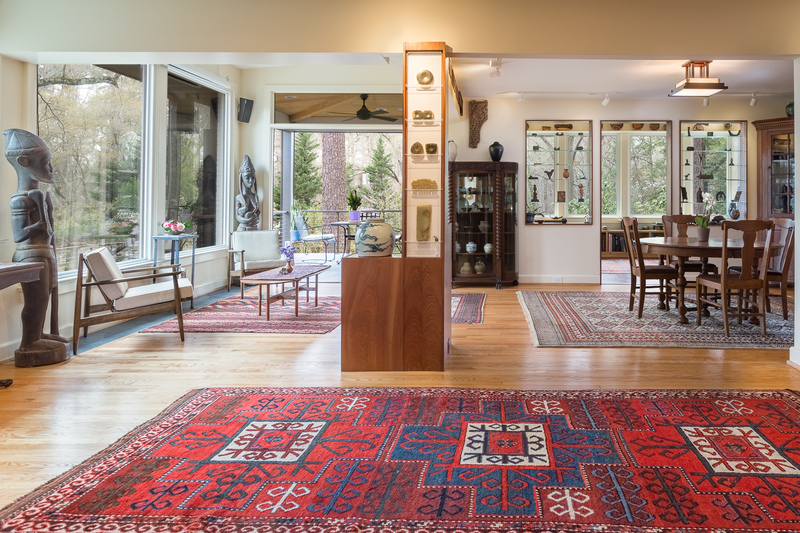 Deeded in 1996 to Robert Lowell Bohmhal and Judy Bromhal Lloyd. 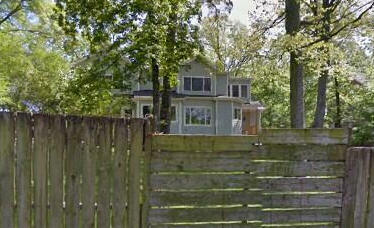 Sold in 2006 to J. Benjamin and Tatyana H. Blankenship. Photo by Todd Hancock. 1950 - The William Louis and Grace Long Brown, Jr. House, 913 Knox Street, Durham NC. 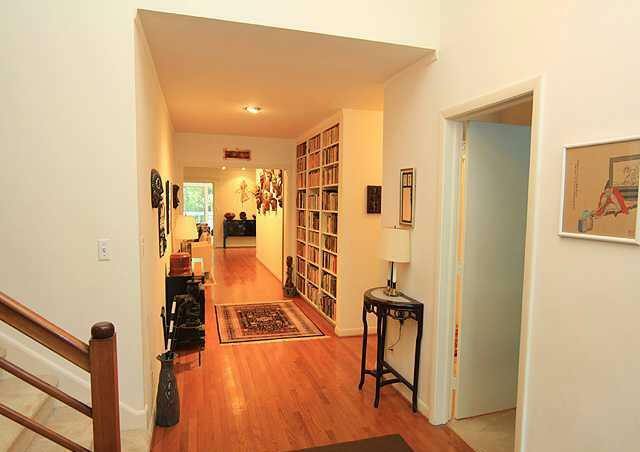 Deeded in 1997 to Janet B. Hall. 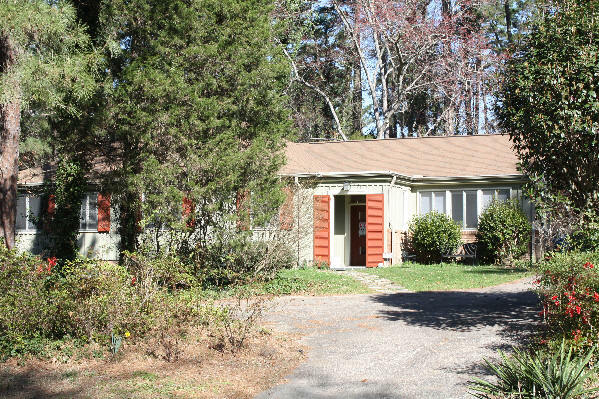 Deeded in 1998 to Ruffin Lewis Hall. Sold in 2002 to Mary Jane Rivers and Sherry Grace Pilafian. 1950 - The Bingham and Vivian Chen Dai House, 2404 Perkins Road, Durham NC. Sold in 1970 to Helmut H. and Klara N. Schmidt. Sold in 1974 to George H. and Alivilda D. Mickey. Deeded in 1989 to Don Davis and Tecetl Rogers Mickey. Bottom photo by Todd Hancock. 1950 - The Thomas G. and Janis P. Goad House, 1023 Starlight Drive, Durham NC. 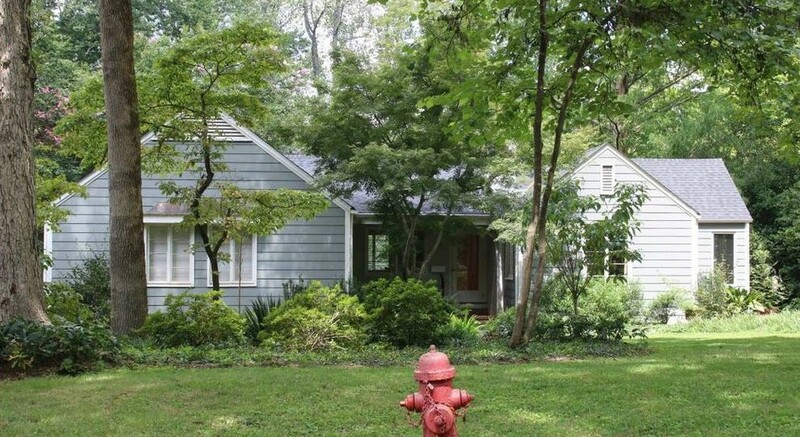 Sold in 1963 to Thomas B. and Lucille L. Cranford. 1950 - The M. Luther and Shirley S. Weeks House, 111 Pinecrest Road, Durham NC. Sold in 1954 to Roy T. and Georgia S. Parker. Deeded in 1993 to David Turnage and Constance P. Parker. 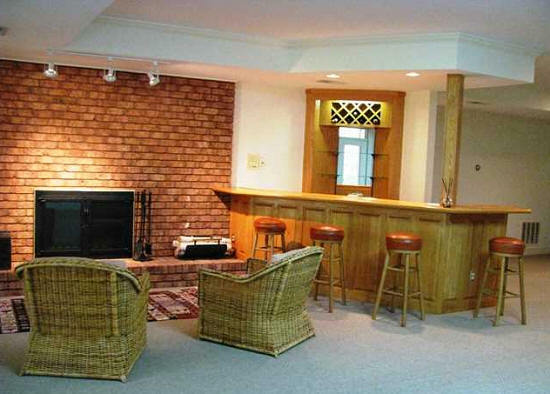 Sold in 1994 to Joseph Michael and Julie Ann Spagnardi. Sold in 2005 to Jonathan L. and Barbara L. Sheline. 1950 - The Charles Henry and Ruth Schaeffer Sawyer House, 2417 Perkins Road, Durham. 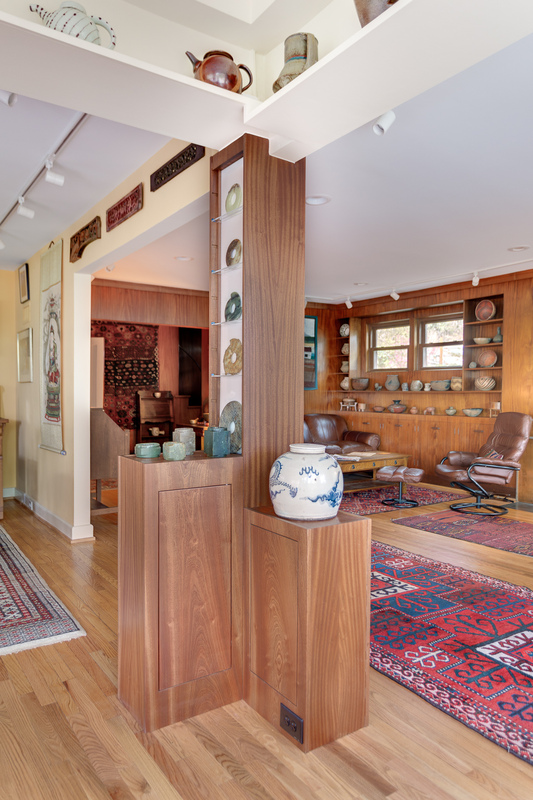 Sold in 1951 to George and Maria McCabe Margolis. 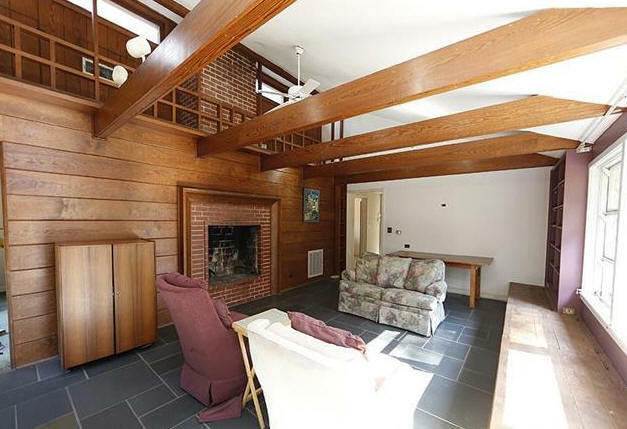 Sold in 1954 to Henry and Dorothy L. Kamin. Renovated by Sprinkle. Sold in 1993 to Elmyr Park Currie. 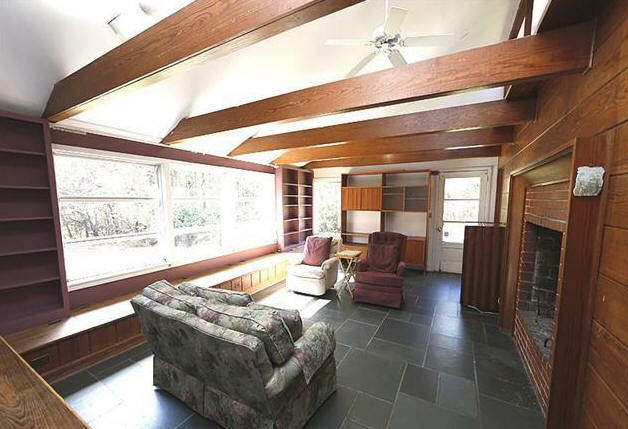 Sold in 1999 to William K. and Mary L. Quick. Sold in 2005 to Jacob Cooley. 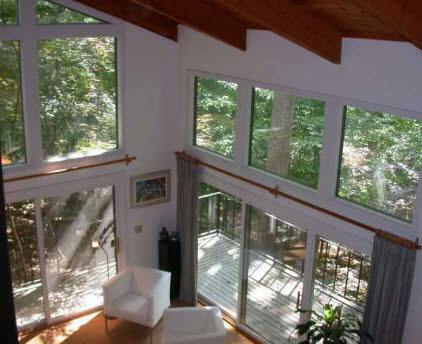 Attached screened porch built in 2013. 1951 - The Jessie Harned Bufkin House, 2425 Perkins Road, Durham NC. Sold in 1956 to Ethel and Helen Reade. Deeded in 1984 to Ann R. Stuart. Sold in 2004 to Kathleen Doubek Barboriak. 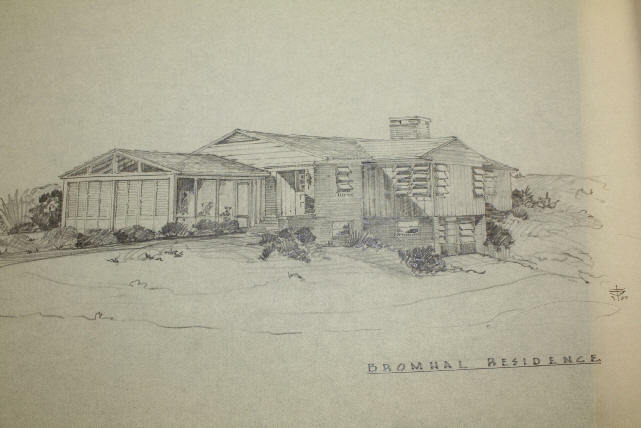 1951 - The Frances Campbell Brown House, 1205 Dwire Place, Durham NC. 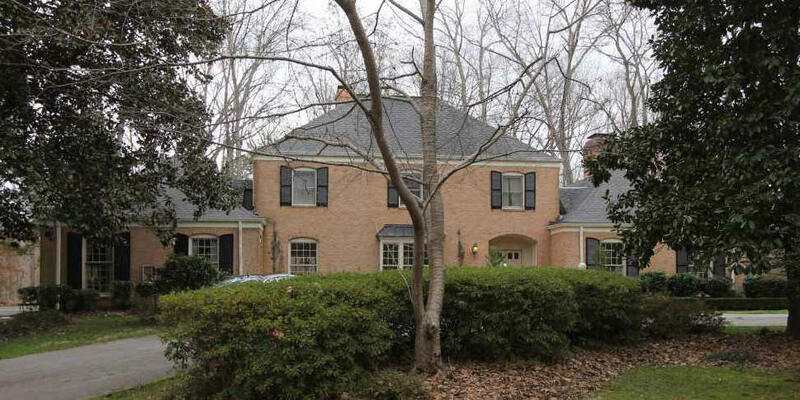 Sold in 1994 to Cavett Hamilton and William Barker French. Sold in 2014 to Michael and Hyewon Grigoni. 1951 - The Harold and Ann McCurdy House, 6 Gooseneck Road, Chapel Hill. 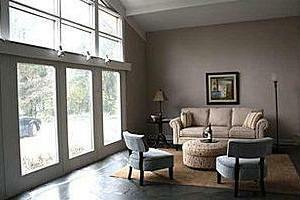 Sold in 2002 to James Kirkpatrick and Ruth Pershing, Charles and Erma Kirkpatrick's daughter-in-law. 1952 - The Eulyss R. and Kay Troxler House, 2314 Princess Ann Street, Greensboro NC. Sprinkle was Kay Troxler's brother-in-law. 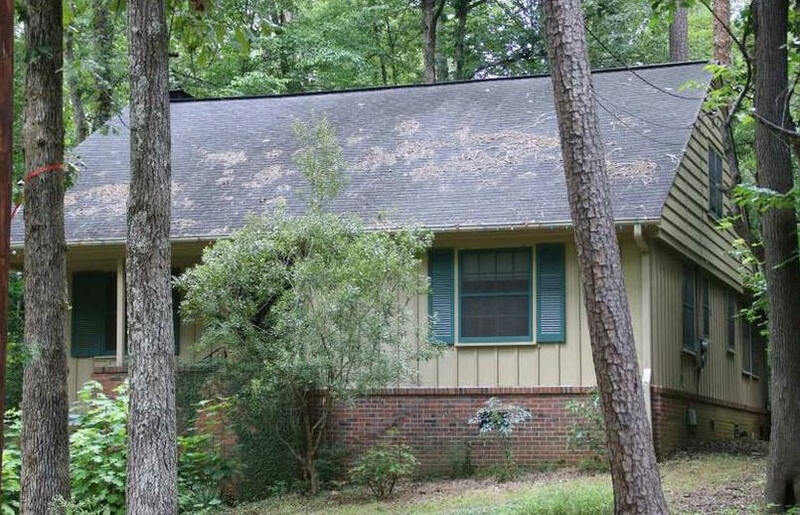 Sold in 2004 to Catherine K. Troxler. Sold in 2006 to JAD&W LLC. Sold in 2006 to Russell L. and Rachel Cohen. Sold in 2008 to Wolfe Construction. Destroyed. 1952 - The Steed and Mozette R. Rollins House, 33 Oak Drive, Durham NC. 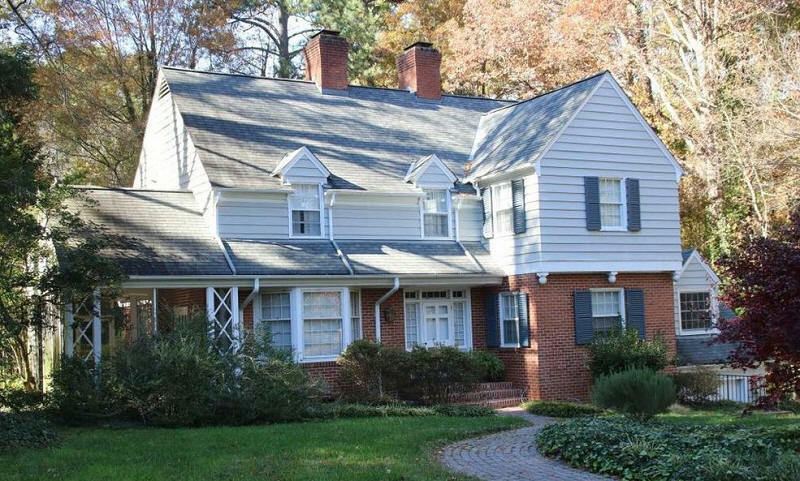 Deeded in 1991 to Louise Few and Steed Rollins, Jr. Sold in 2012 to Brendan J. and Cynthia A. Moylan. 1953 - The Robert N. and Margaret B. Creadick House, 2401 Perkins Road, Durham. Commissioned 1951. Built by George Birmingham. Sold in 1969 to David S. Evans. Sold in 1974 to Ronald P. Krueger. 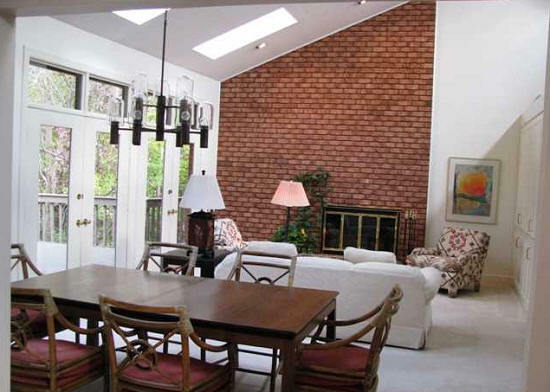 Sold in 1980 to Arno L. and Karen A. Greenleaf. Sold in 2018 to George Kasotakis. 1953 - The Clarence H. and Mary L. Cobb House, 11 Beverly Drive, Durham NC. 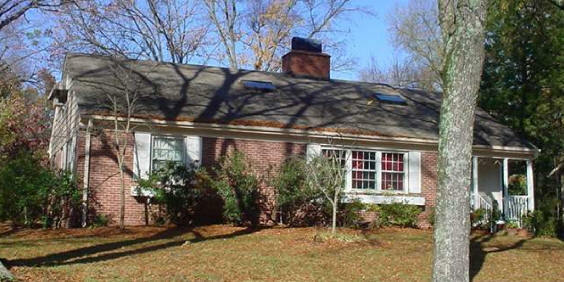 Sold in 1995 to Paul D. Savery and Susan E. Watson. Photo by Todd Hancock. 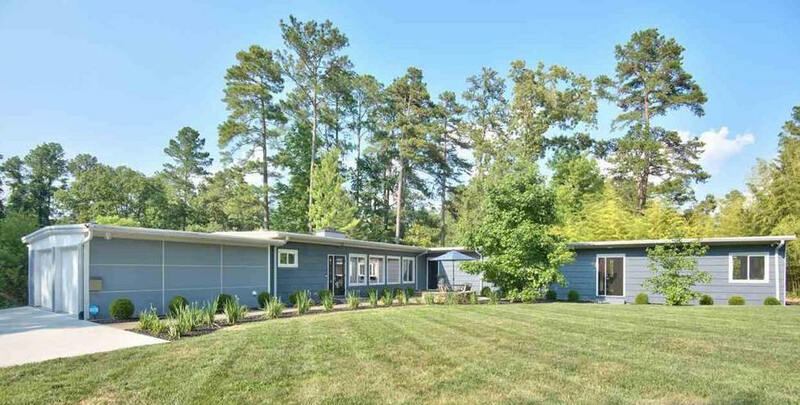 1953 - The Clarence L. F. and Celestine Benmer Gohdes House, 2737 Circle Drive, Durham NC. Deeded in 2000 to Eleanor Gohdes-Baten and Dorothy Gohdes Kaminsky. Sold later in 2000 to Amy Bejsovec. 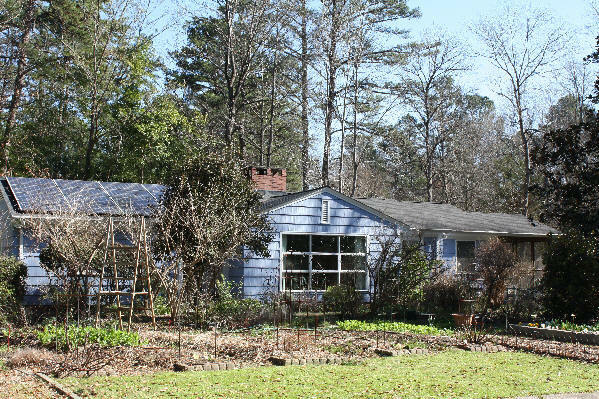 1953 – The Robert and Mildred Pifer House, 2218 Shoreham Street, Durham. Bottom photo by Todd Hancock. 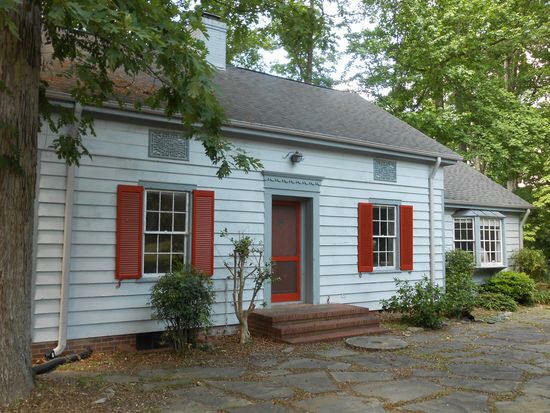 1953 - The John Henry and Lettie McLane Saylor House, 2500 Perkins Road, Durham NC. Sold in 1984 to Mary C. deVyver. Sold in 1989 to Jerome E. and Susan M. Fee. Sold in 1995 to Lenore Champion and Marki Watson. 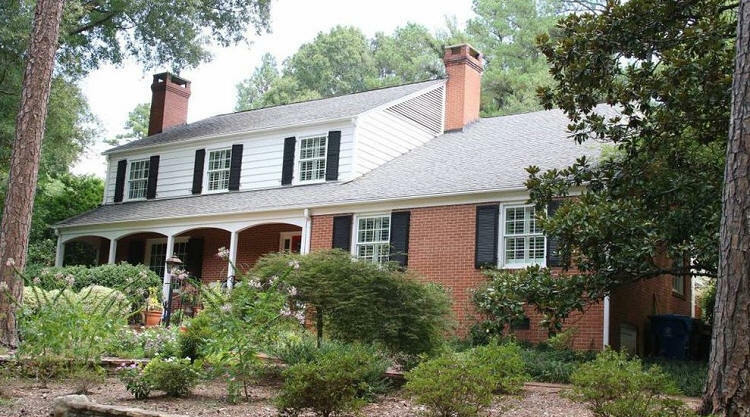 Sold in 1998 to Martha Sue Carraway. 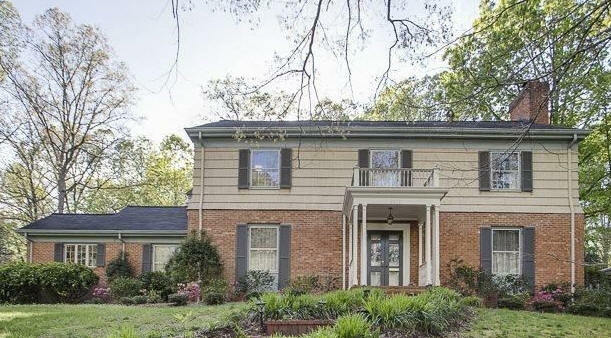 Sold in 2004 to Allison Edwards Fansler and Daniel Edward Israel. Sold in 2006 to John and Karen Turner. 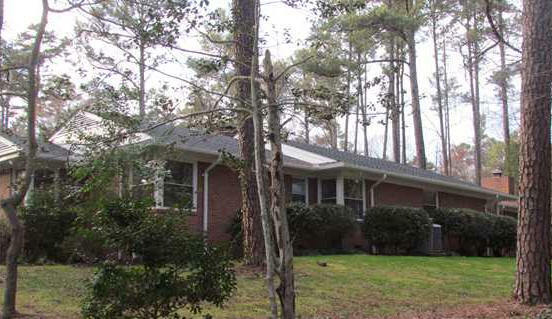 Sold in 2008 to Lyle B. Snider and Cynthia M. Cole. Bottom photo by Todd Hancock. 1954 - The Ewald William and Ortrude Helen Busse House, 1132 Woodburn Road, Durham NC. Sold in 1998 to Gines Diego and Ara Pappendick Miralles. 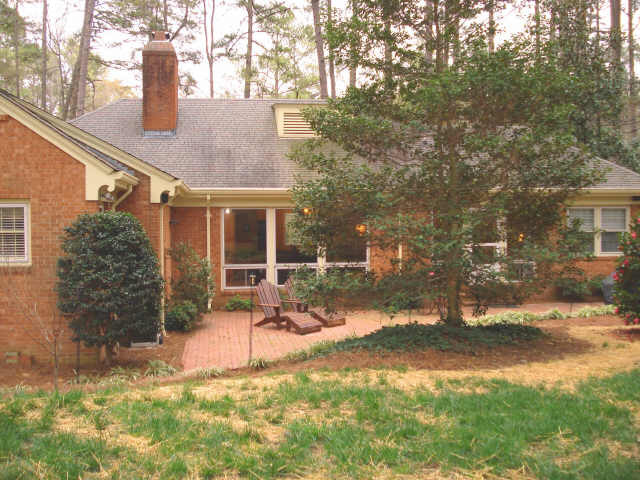 Sold in 2005 to Stephen Gerard and Jill W. Buckley. 1954 - The Trogler F. and Delana G. Adkins House, 2810 Dogwood Road, Durham NC. 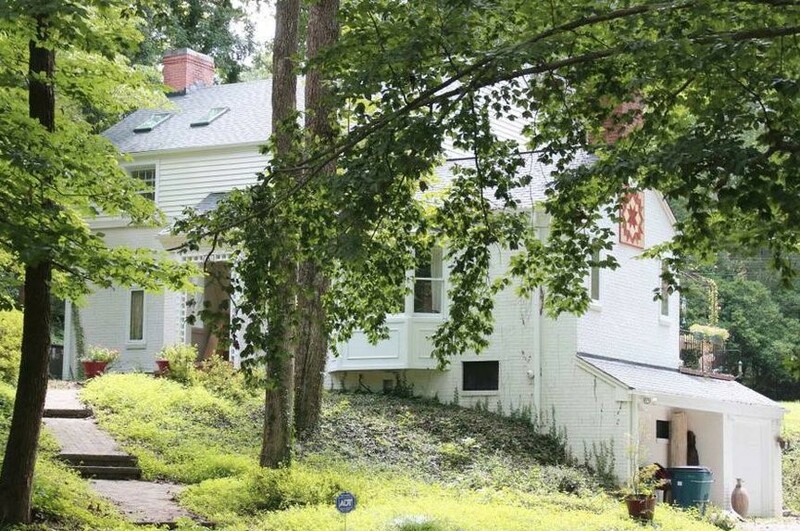 Sold in 1967 to A. Wendell and Mary Ann L. Musser. Sold in 1971 to Finne E. and Helen Louise Bronner. Deeded in 2006 to C. Eric Bronner, Peter E. Bronner, Carl N. Bronner, John M. Bronner, and Valerie J. Bronner. Sold in 2008 to Kevin S. LaBar and Friedrich Guerrero Escobar. Sold in 2013 to Fatima Rangwala and Syed Yousuf Zafar. 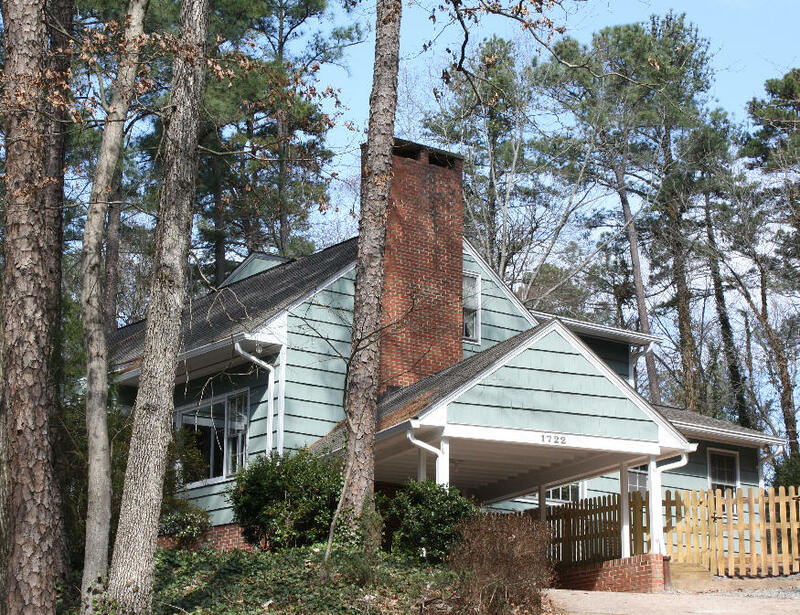 1955 - The Howard A. and Shirley Holcomb Strobel House, 1119 Woodburn Road, Durham NC. Commissioned 1954. Deeded in 2006 to Gary Dent Strobel and Lynn Helgeson. 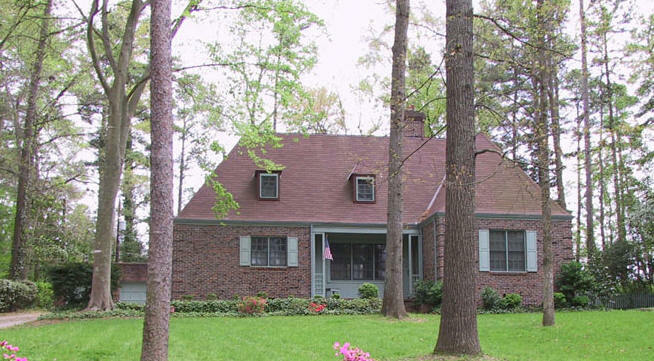 Sold in 2013 to Claire Grace Williams and Floyd Emmitt Bridgwater. Sold in 2015 to Sheila F. and Robert L. Williams. 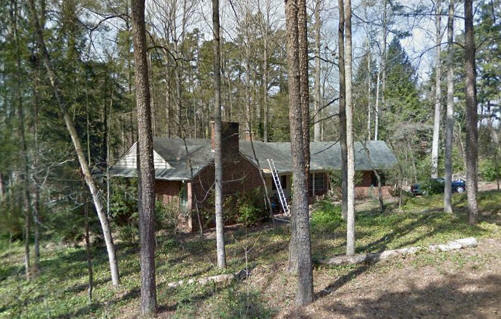 1955 - The Perlmutt House, 624 Morgan Creek Road, Chapel Hill. Still owned by the Perlmutts as of 2016. 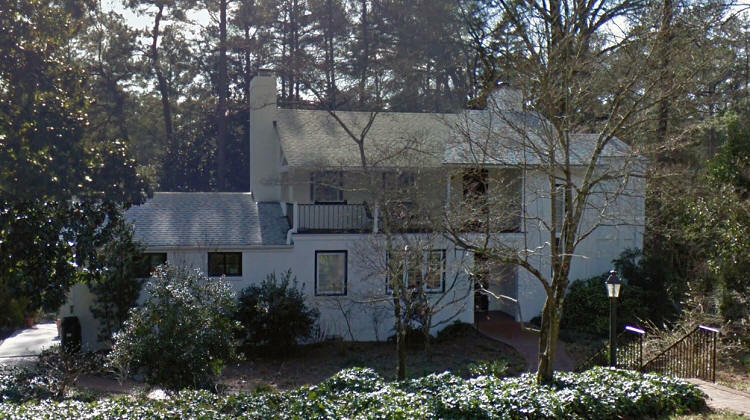 1955 - The James Nardin and Adelaide Truesdale House, 105 Pinecrest Road, Durham NC. Deeded in 1989 to Robert Sidney Truesdale, II. 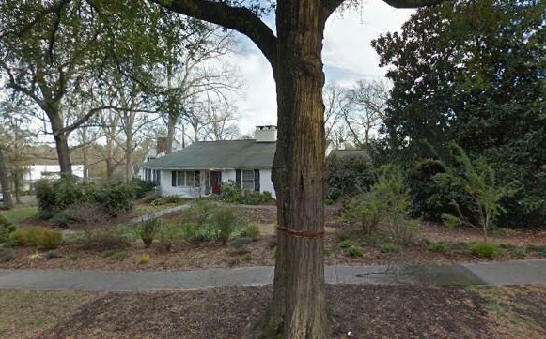 1955 - The Christopher C. and Emma F. Mulholland House, 920 West Markham Avenue, Durham NC. Sold in 1970 to Lorraine J. Best. Sold in 1979 to J. Samuel and Marie K. Hammond. Sold in 1984 to Robert Clifford and Anne Danbury Marshall. Sold in 1995 to Diane and Mark Wiggin. 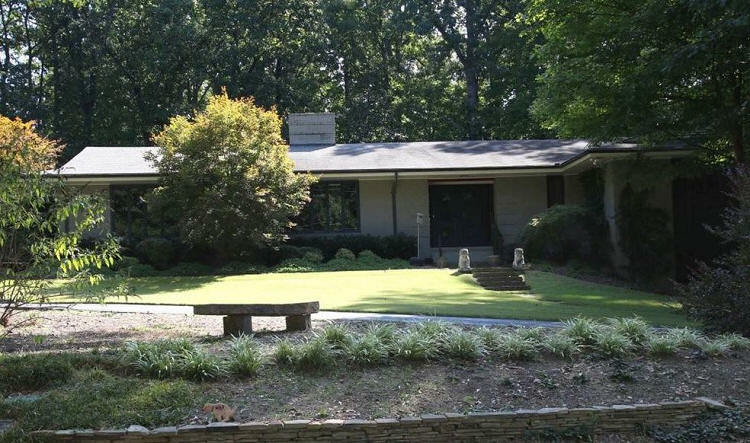 1955 - The Ralph G. Fleming House, 23 Beverly Drive, Durham. 1956 - The Henry A. (Sandy) and Martha McKinnon House, 1017 Riverside Boulevard, Lumberton NC. Sold in 2008 to Donnie and Bethany Ivey. 1956 - The Robert Howe Connery House, 1722 Duke University Road, Durham NC. Sold in 1966 to Aleksander and Milena Sedmak Vesic. Sold in 2008 to Frank O. Welch. Deeded in 2015 to Georgia Paige Welch and Joshua Ray Walters. Bottom photo by Todd Hancock. 1956 - 3 Iris Lane, Chapel Hill. Sold in 1977 to Sherri R. and David A. Ontjes. Transferred in 2003 to David A. Ontjes. Transferred in 2006 to David A. and Joan T. Ontjes. Sold in 2016 to Karen R. and Edmund H. Jooste. 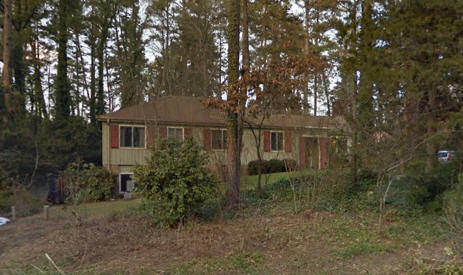 1956 - The Marchant C. and Caroline B. Cottingham House, 3822 Churchill Circle, Durham NC. 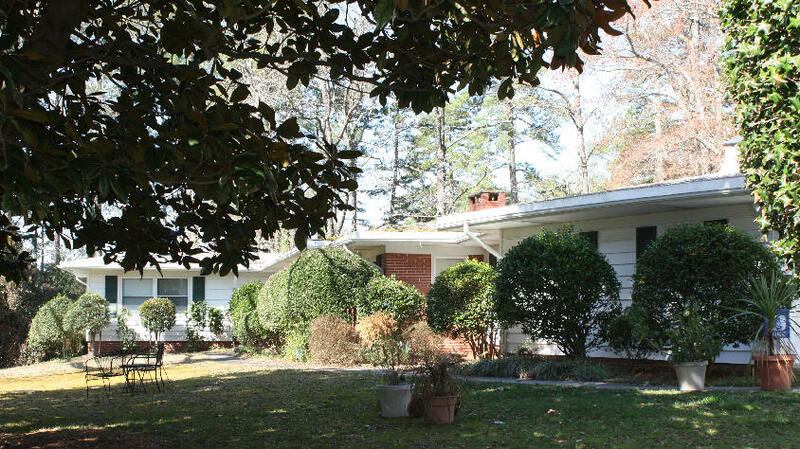 Sold in 1969 to Edith L. and Joseph W. Whatley, Jr. Sold in 2006 to Lucy Stokes. Sold in 2012 to Andrew Mark and Ashley Horton Freedman. 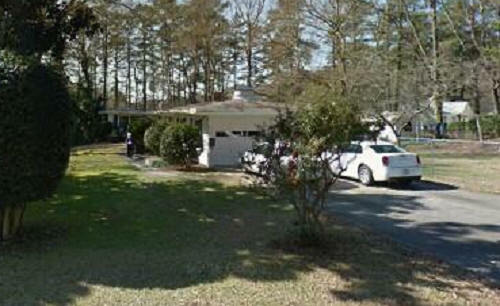 1957 - The Pelham and Sterly L. Wilder, Jr. House, 2514 Wrightwood Avenue, Durham NC. Sold in 2007 to Jennifer D’Arcy Maher. 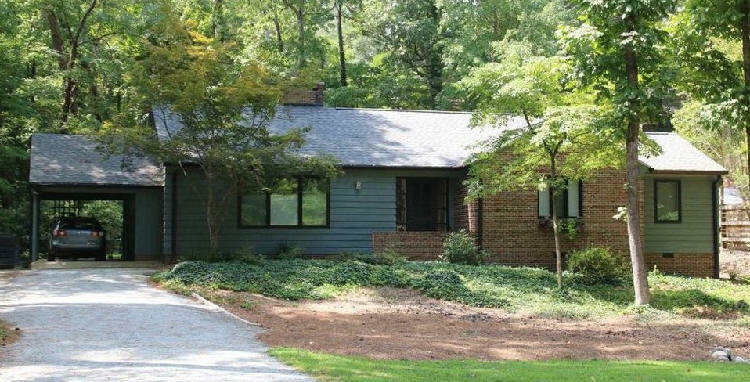 1957 - The Robert F. and Anne Oller Durden House, 2532 Wrightwood Drive, Durham. 1891 sf. Sold in 2000 to Maureen and Kevin Maughan. 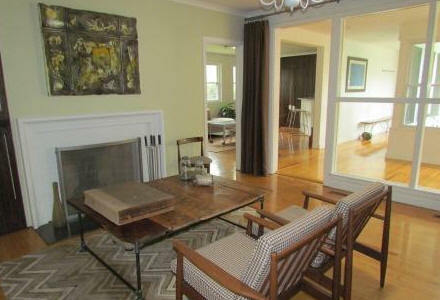 Sold in 2008 to Jody and Margaret Brown. 1958 - The George J. 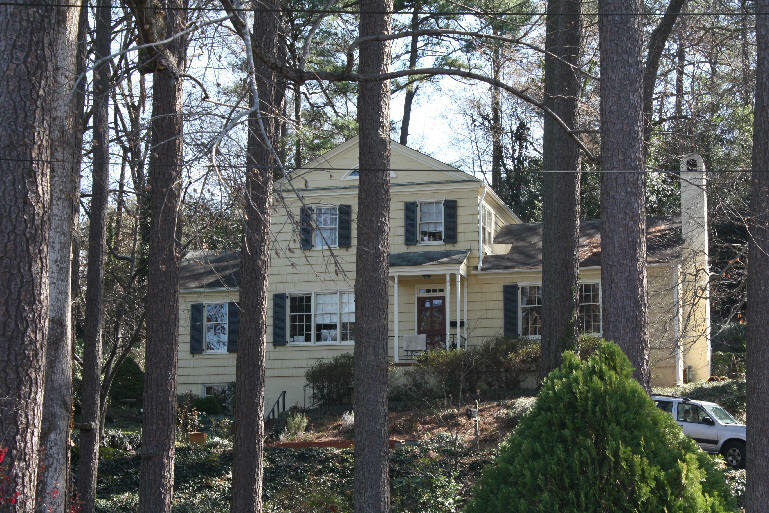 (Eric) and Sarah Hartman Baylin House, 2535 Wrightwood Avenue, Durham NC. Sold in 1989 to Charles M. and Russell C. Colver. Sold in 2018 to Nazish Khalid Hashmi and Ali Aheed Quadri. Photo by Heather Wagner. 1958 - The Ruth Jefferson Rust House, 2712 Circle Drive, Durham NC. 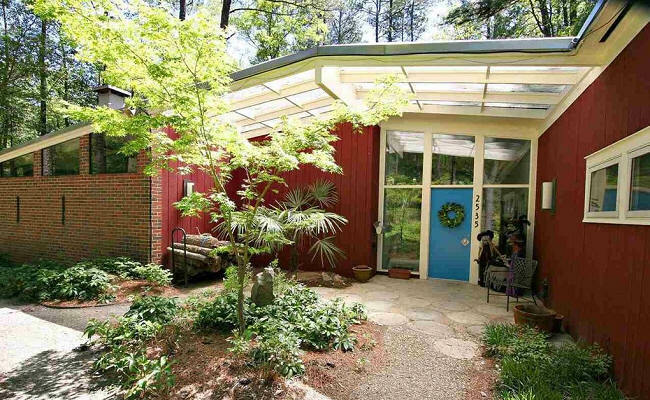 Sold in 1960 to Luella J. Uhrhane. 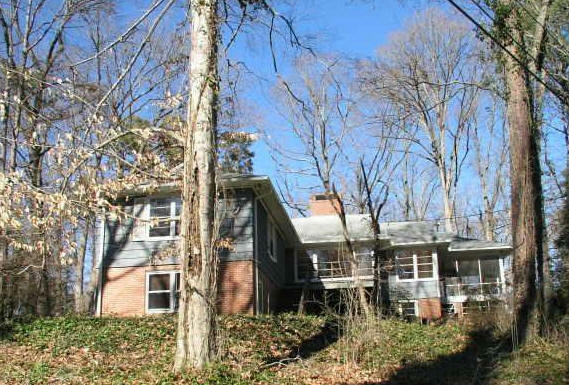 Sold in 1975 to James Edward and Lorraine Sassone Lowe. Sold in 1984 to Kay E. Gross and Richard R. Bias. Sold in 1987 to Henry and Sally Mezzatesta. Deeded later in 1987 to Michael Mezzatesta. Sold in 1994 to Theresa A. Yuschok. Sold in 2012 to Jennifer G. and John C. Healy. 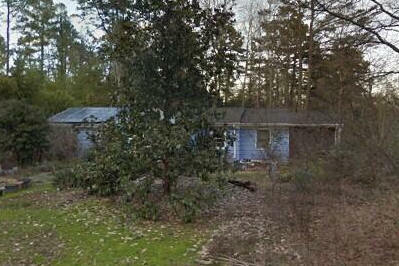 1958 - The D. E. and Sarah Ward House, 2205 North Barker Street, Lumberton NC. Still owned by the Wards as of 2018. 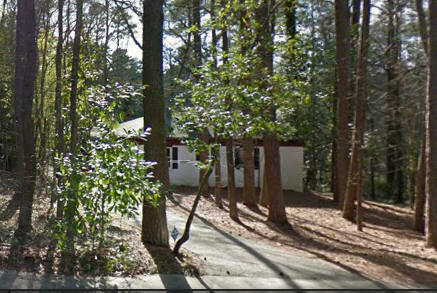 1959 - The Paul and Ethel Diana Welsh House, 2749 Dogwood Road, Durham NC. Sold in 2006 to Virginia L. Charles and Samuel S. Jackson. 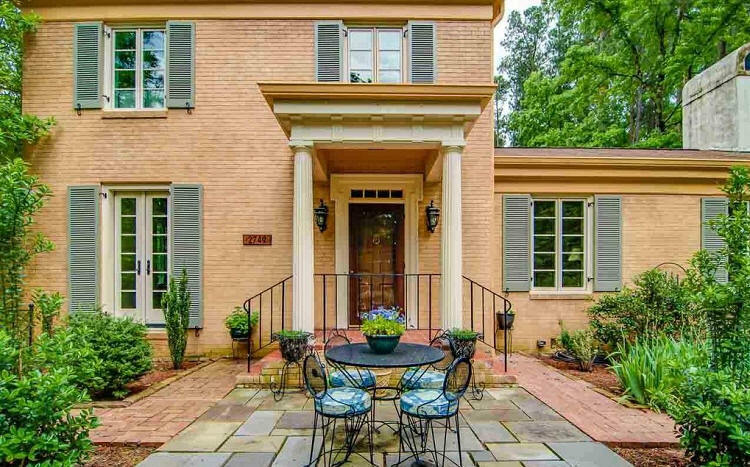 Sold in 2018 to Jacquelyn Nicole and Peter Jonathan Crawford. 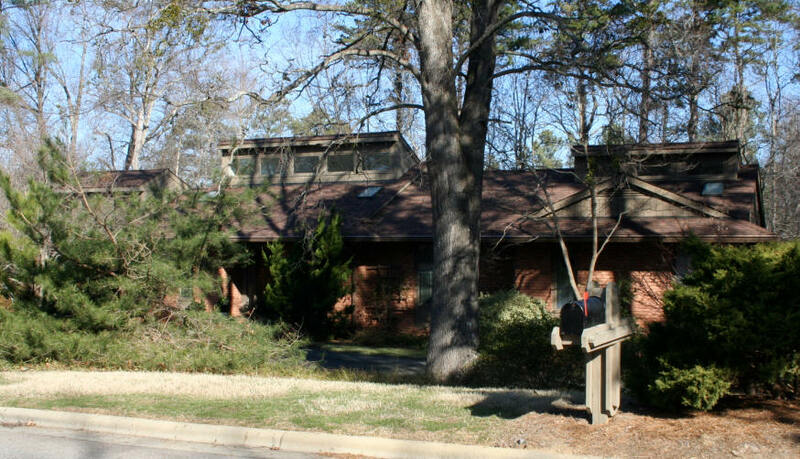 1960 – The Madison and Cecilia Spach House, 2632 McDowell Road, Durham. Sold in 2016 to John J. Strouse and Megan E. Reller. 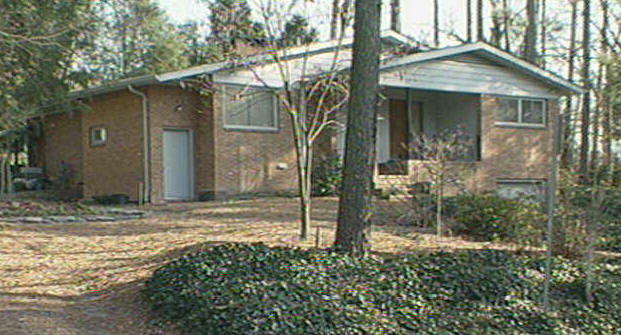 1960 - The Ralph N. and Donleen M. Strayhorn House, 1021 Westwood Drive, Durham NC. Sold in 1980 to Carl F. and Margaret E. Fayen. Sold in 1984 to Allan H. Friedman. 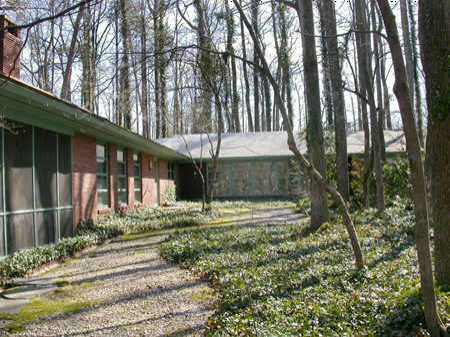 1960 - The Eugene M. and Julia Manning Wily House, 3819 Churchill Circle, Durham NC. Sold in 1996 to Julia Wily Jervis. 1960 - The Joseph Gaither and Nellie Ruth Pratt House, 2744 McDowell Road, Durham NC. 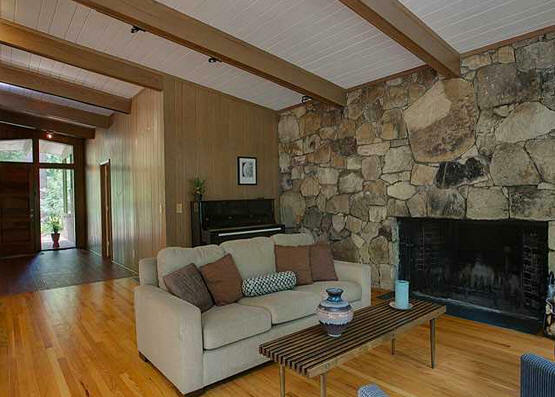 Sold in 1966 to George H. and Belle L. West. 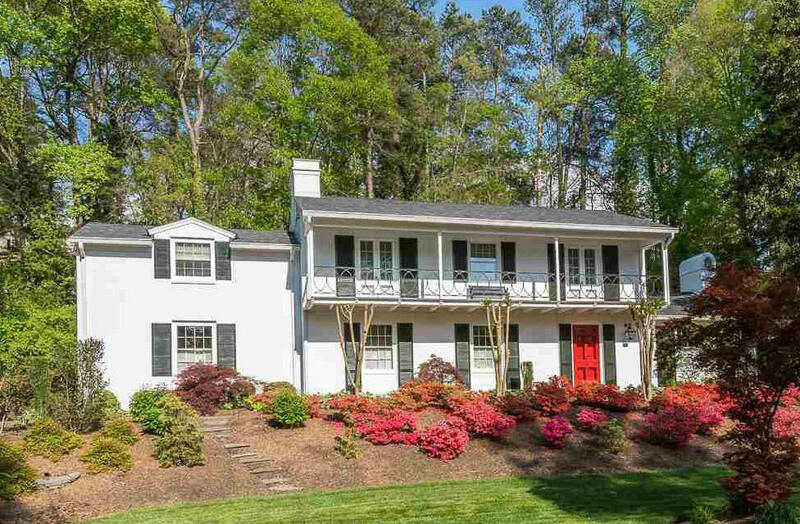 Sold in 1980 to William Harrison Schlesinger. Sold in 1990 to Philip Lee and Anne Downing Brewer. 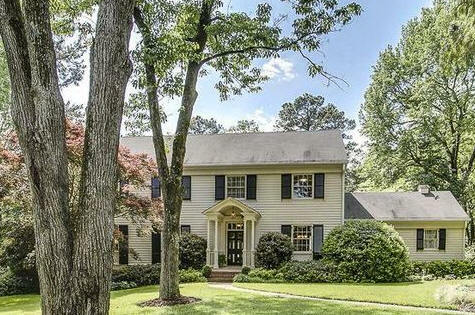 Sold in 1998 to Richard Dean Duncan, III. Sold in 2008 to Boris M. Darovsky and Lioudmila A. Kolomeets. 1960 - The Charles and Kathryn (Kay) Bream Residence, 3 Buttons Road, Chapel Hill. Traditional looking on the outside, more Modernist from the inside. Sold in 2014 to Paula Song. 1960 - The Frank L. and Mildred Engel house, 2501 Wrightwood, Durham. Built by R. C. Guthrie. 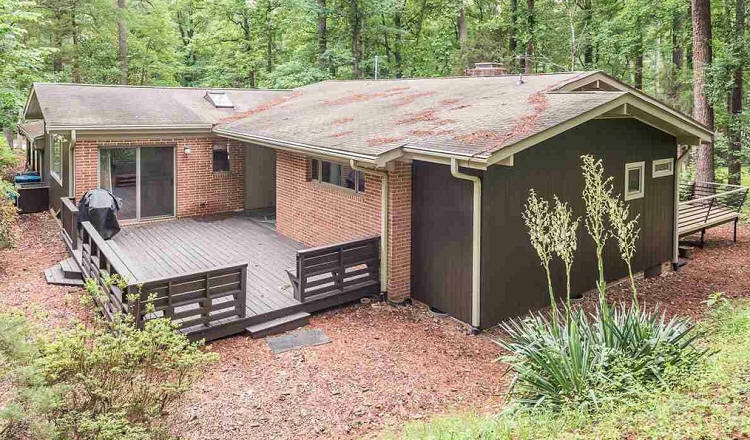 3460 sf. Sold in 1973 to Samuel A. and Barbara A. Wells. Sold in 1981 to Donald L. and Judith A. Horowitz. 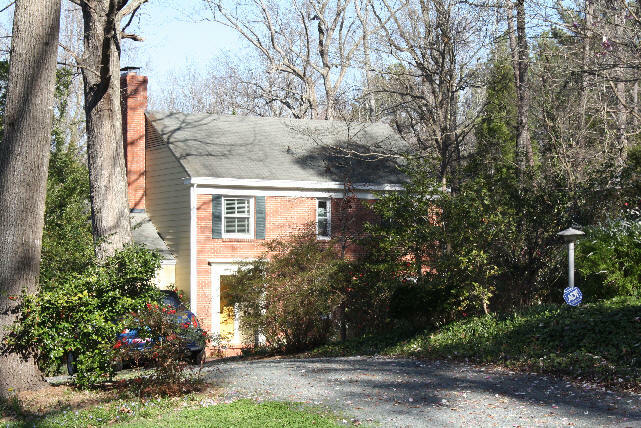 Sold in 2010 to Gregory A. Taylor and Gwendolen T. Buhr. 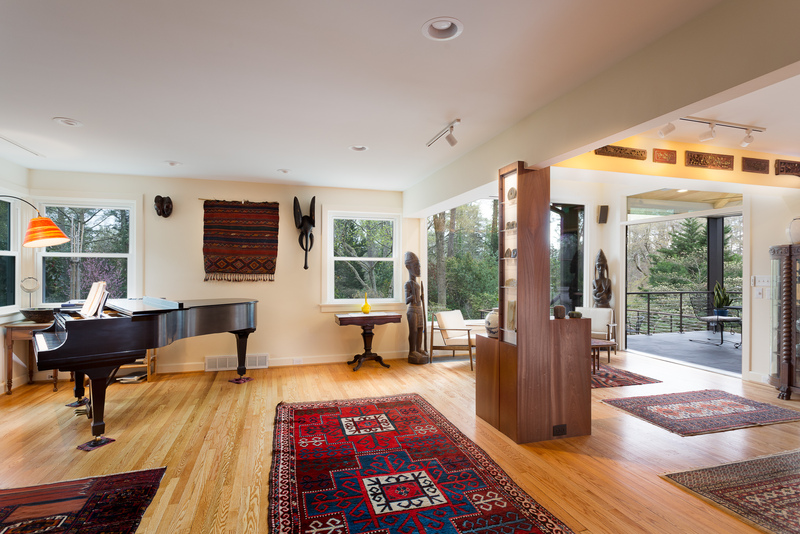 Renovations in 2016 by Coby Linton, architect, and Craig Fox, contractor. 1961 - The William L. Byrne House, 2531 Sevier Street, Durham NC. Commissioned 1960. 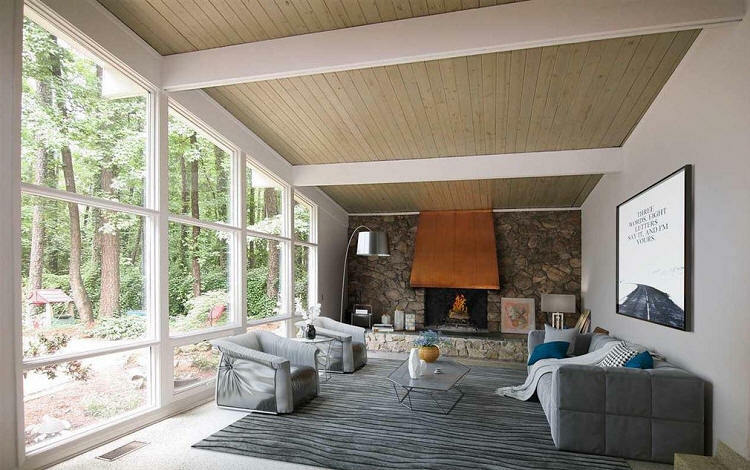 Sold in 1968 to George D. and Susan F. Beischer. Sold in 1983 to John F. and Lynne O. Geweke. 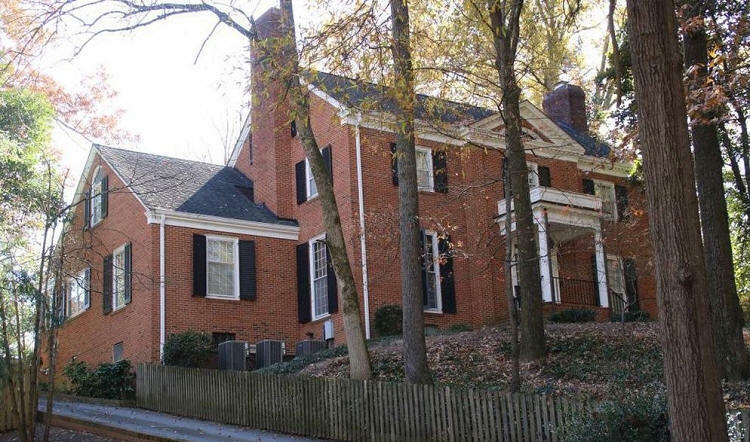 Sold in 1990 to William Harrison and Lisa Dellwo Schlesinger. Sold in 2007 to Molly Jennifer Tamarkin and Sean Andrew McKnight. 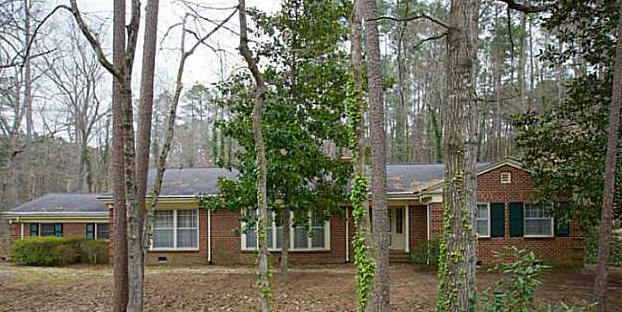 Sold in 2008 to Laura Beth Harris and Frederick Charles Moten. Sold in 2013 to Justin A. and Tania A. Desrosiers. 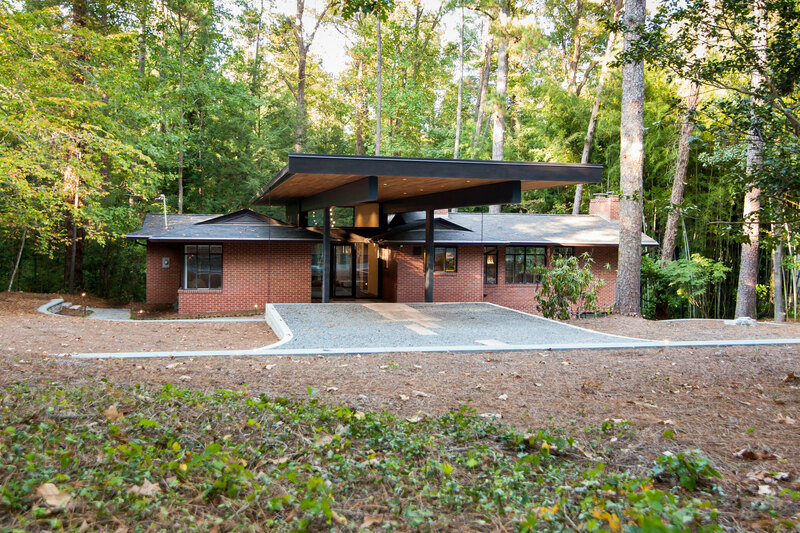 1961 - The George Bennett Werk House, 3539 Rugby Road, Durham NC. The one-car garage was expanded to two by Sprinkle in 1963. The master bathroom and bedroom were expanded later. The original brick fireplaces, interior planters, and brick column were refaced in marble and stone, also in later renovations. Deeded in 2013 to Richard F. Prentis, Jr. Sold in 2014 to William P. Owens LLC. 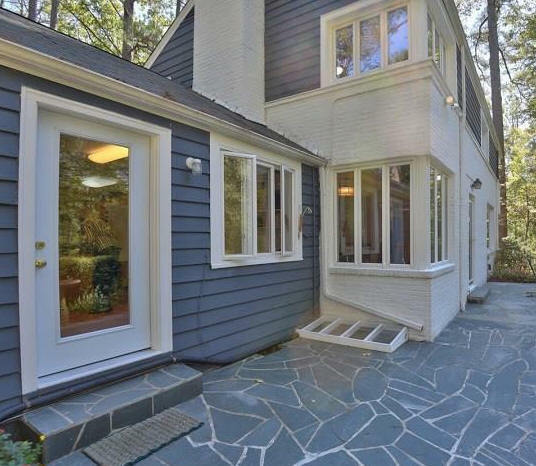 Sold in 2018 to Rugby Road Properties LLC (Kenton Wiles) and remodeled, last four photos. 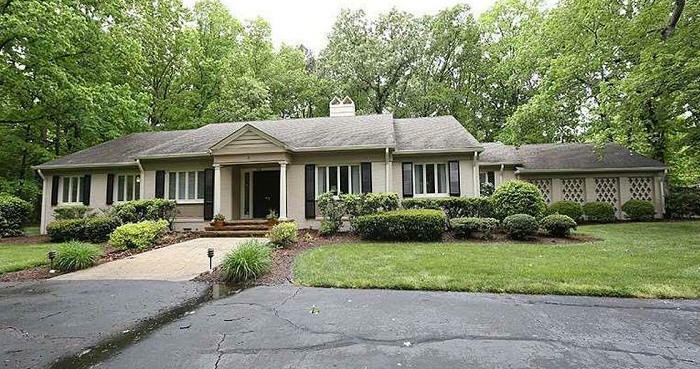 Sold later in 2018 to Alan J. McGinty and Mary Foley. 1961 - The Jordan House, 5004 Old Coleridge Road, Ramseur NC. Needs confirmation. 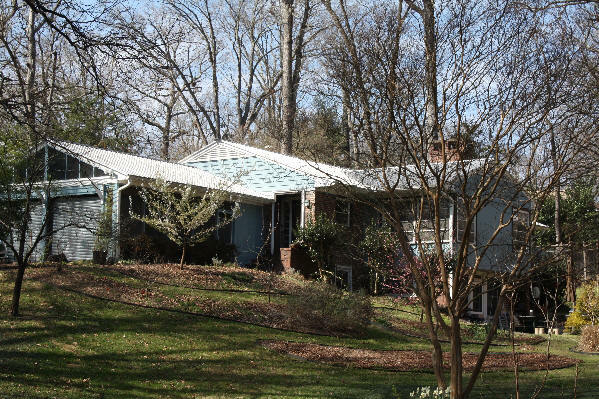 1961 – The Schwentker House, 1100 Sourwood Circle, Chapel Hill. 1961 - The Albert D. and Sarah L. Weeks House, 1507 Hermitage Court, Durham NC. Sold in 1985 to Judith Elizabeth Olney. Sold in 1992 to Mark W. Scroggs and R. Leigh Mote. 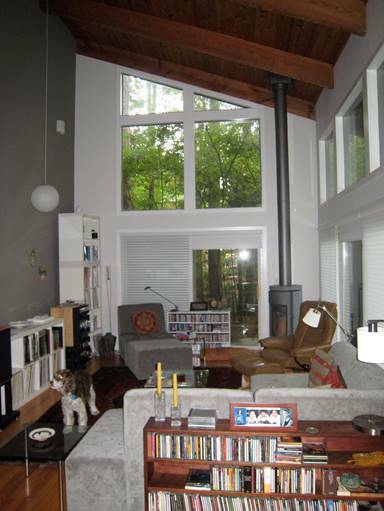 Sold in 2001 to Eric Wiebe and Cynthia Shimer. 1961 - The George William and Virginia J. Crane, Jr. House, 3929 Bristol Road, Durham NC. 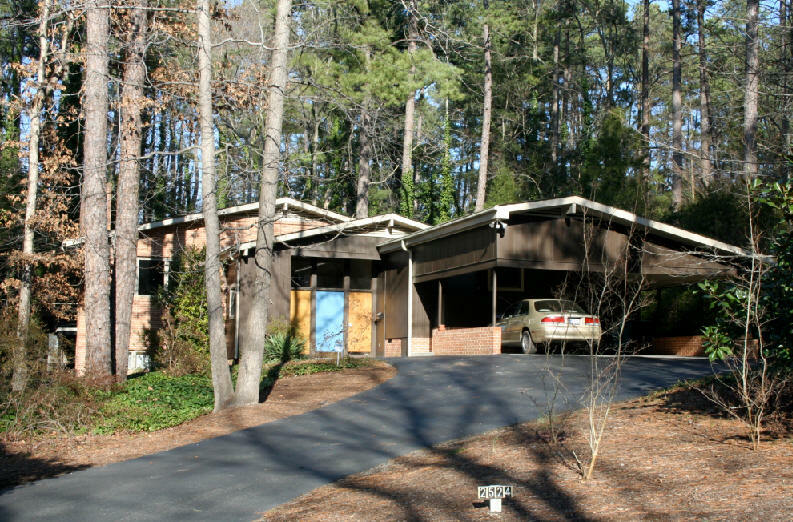 1962 - The Norma B. Nichols House, 24 Kimberly Drive, Durham NC. 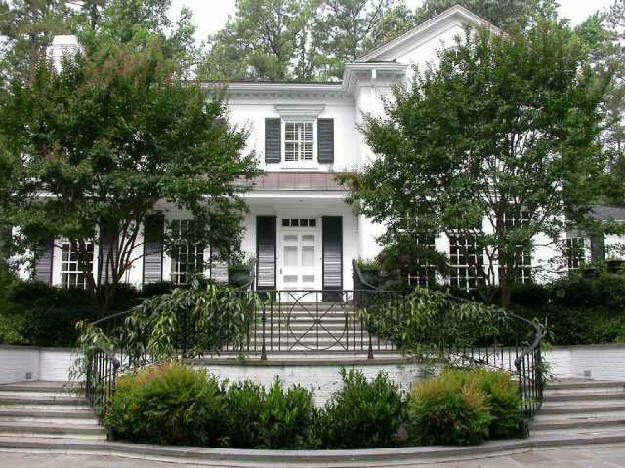 Deeded in 1989 to David A. Nichols, Jr. Sold in 1990 to William A. and Vianne B. Bowers. Sold in 1991 to Eleanore F. Walker, Joseph T. Hartman, Terrell R. Johnson, Robert W. Bugel, and George E. McCarty. Sold later in 1991 to Michael M. and Ruth S. Frank. 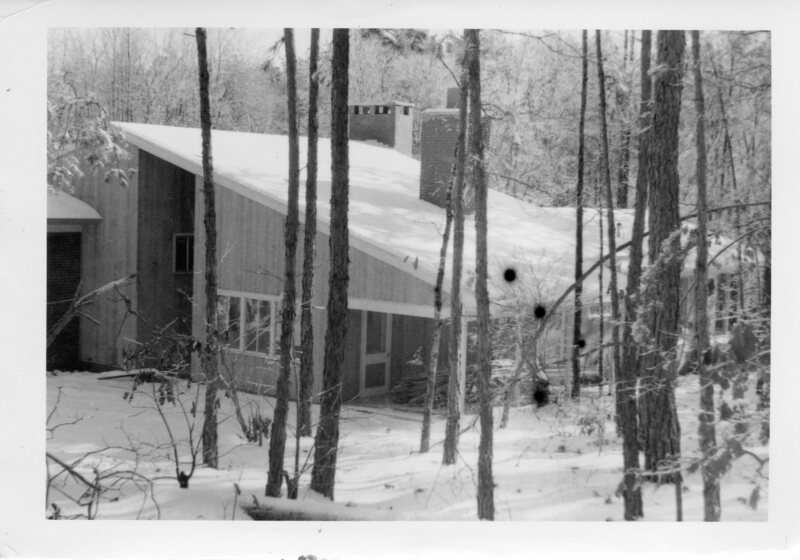 1962 - The David St. Pierre and Anna S. DuBose, Jr. House, 3909 Nottaway Road, Durham NC. 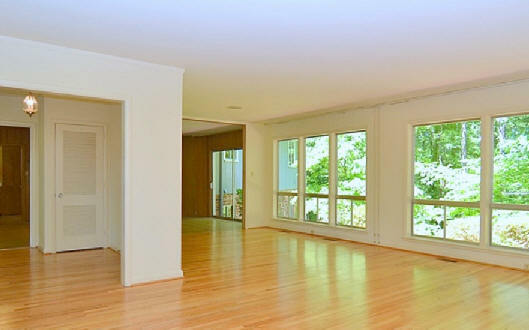 Sold in 2007 to Michelle Barnes and Oscar Julian House, III. 1962 - The William H. and Jane C. Rawlings House, 3937 Bristol Road, Durham NC. Sold in 2007 to Whitney Wilkerson and Raven Manocchio. 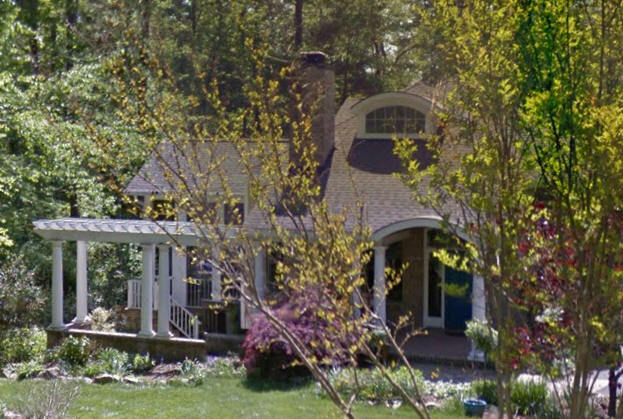 Sold in 2012 to Allen and Lydia M. Smith. 1963 - The Richard H. and Betty C. Leach House, 1313 Woodburn Road, Durham. Commissioned 1961. Traditional house. Sold for the first time in 2014 to Elizabeth and William H. Gulley. 1963 - The Charles H. Hester House, 3409 Surrey Road, Durham NC. Deeded in 2011 to Charles H. Hester, Jr. and Claud R. Wheatly, III. Sold in 2012 to Robert T. and Feda D. Ghanem. 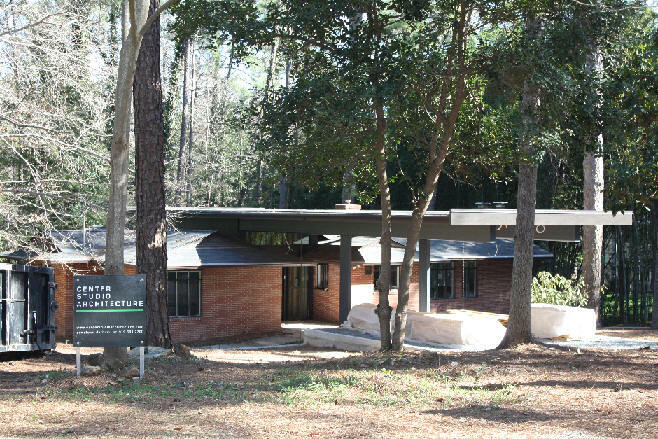 1963 - The Aubrey Willard and Frances Lloyd Naylor House, 2430 Wrightwood Avenue, Durham NC. Sold in 2004 to Catherine Eleanor Lidov. Bottom photo by Todd Hancock. 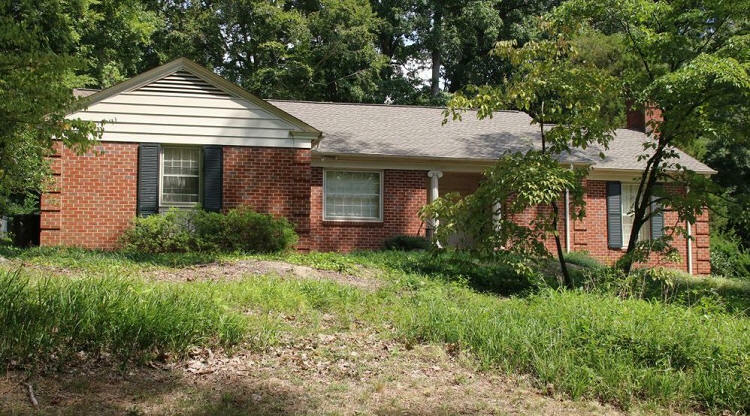 1964 – The McCutcheon House, 2014 Wilshire Drive, Durham. Bottom photo by Todd Hancock. 1964 - The William G. Anlyan House, 1516 Pinecrest Road, Durham. 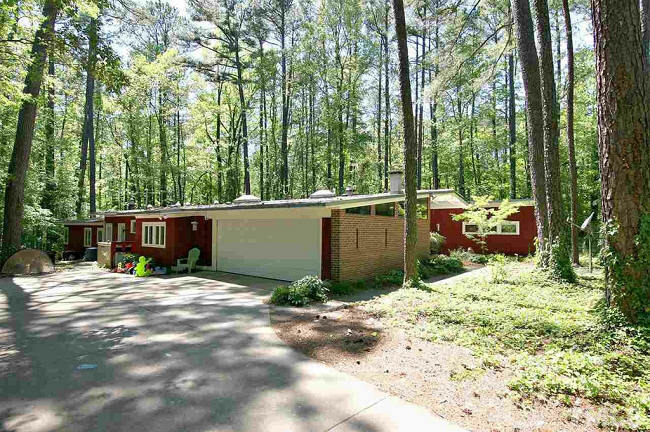 1964 – The Palmatier House, 208 Glenhill Lane, Chapel Hill. 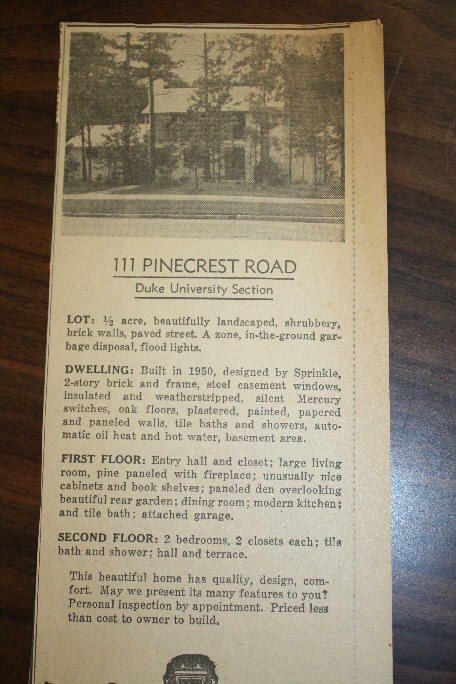 1964 – The Carpenter House, 1918 Wilshire Drive, Durham. 1965 - The Gordon H. and Beryl Massey Rosser Residence, 12 Chantilly Place, Durham. Commissioned 1963. Sold to Patrick Mize and Deborah Doerr in 1989. Sold to Wei Chin Fang in 1990. Sold to Debra A. and Michael L. Conway in 1992. Sold to Jon and Tanyss Ward in 1995. Deeded to Tanyss Ann Mason. 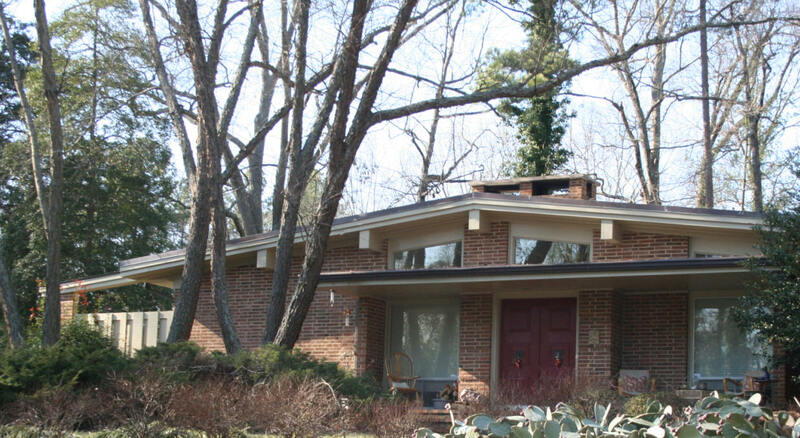 1965 - The Knut Schmidt-Nielsen and Astrid Claesson Residence #2, 627 Swift Avenue (aka 1622 Duke University Road), Durham. As of 2012 still owned by Knut Schmidt-Nielsen. 1965 - The Long House, location unknown. 1965 – The Cherny House, 2 Kimberly Drive, Durham. 1967 – The Chaddock House, 2713 Spencer Street, Durham. 1970 - The John Boynton Residence, 1808 Woodburn Road, Durham. 2031 square feet. Designed by Doris Stanley and built by Charles Parker. She also did a 1983 garage conversion. Sold to Mark J. Solomon. 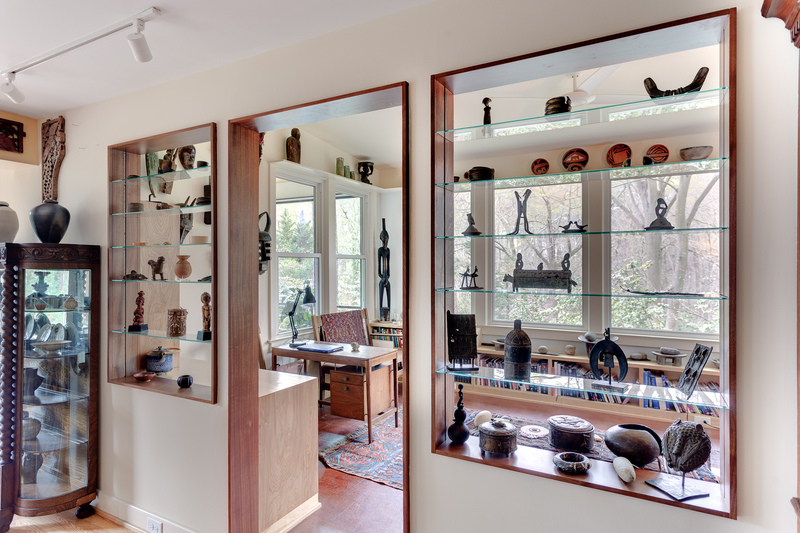 Sold in 2009 to Bruce Orenstein and Nancy MacLean. 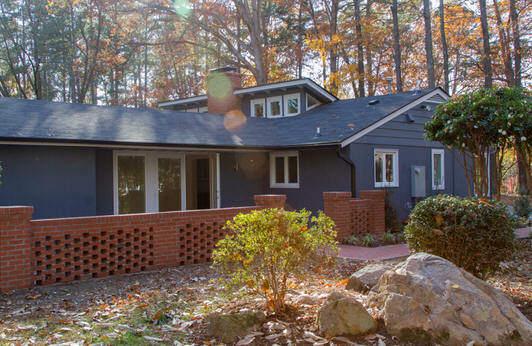 2009 whole house renovation, 2015 media room and screen porch renovation by Ellen Cassilly. 1971 – The Susan Schiffman House, 18 Heath Place, Durham. 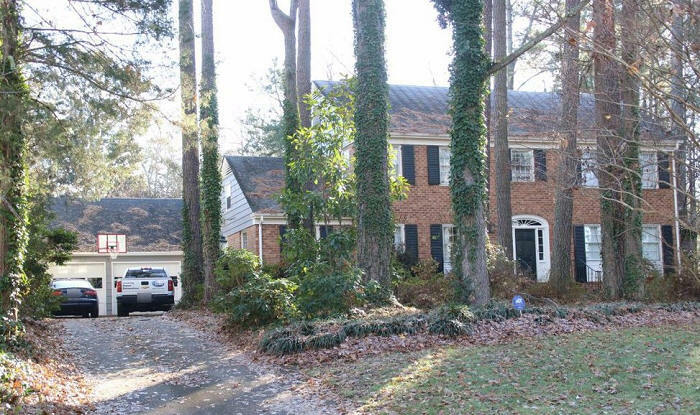 1980 - The James and Layla Hanna House, 1716 Faison Road, Durham. Designed by Doris Stanley. 1983 - The Price House, location unknown. Designed by Doris Stanley. 1984 - The Andrew G. and Barbara McGill House, 3 Appleton Place, Durham. Designed by Doris Stanley. Built by Clay Thomas. Interiors by Minta Bell. 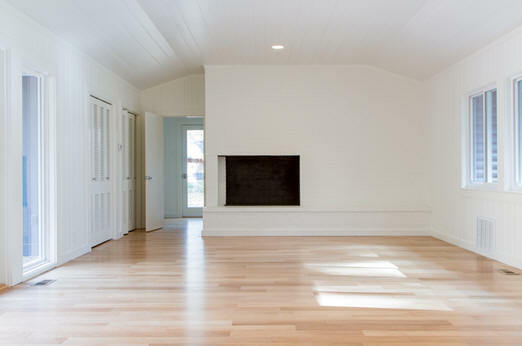 Ramon Garciainstalled new flooring, made repairs, and did exterior and interior painting in 2010.Sold in 2010 to Anne B. and Jack H. Rogers. Photo by Heather Wagner. 1986 - The Croughle House, location unknown. Designed by Doris Stanley. 1986 - The Warren House, location unknown. Designed by Doris Stanley. Year Unknown - The Howard J. Harris House, location unknown. Year Unknown - The Edwin J. May House, Durham. Address unknown. Sources include: Sprinkle-Stanley Collection at the Durham County Library, Bif Bream, The Camel's Nose by Knut Schmidt-Nielsen, Susan Peak, Doris Stanley.